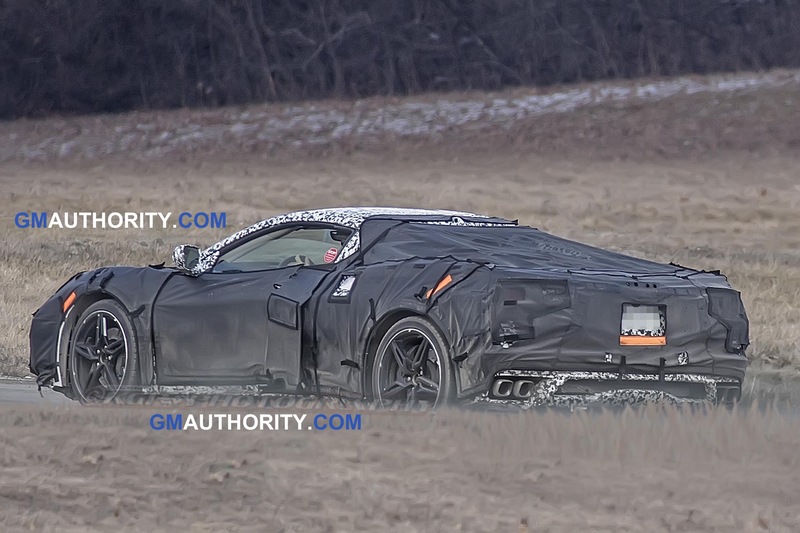 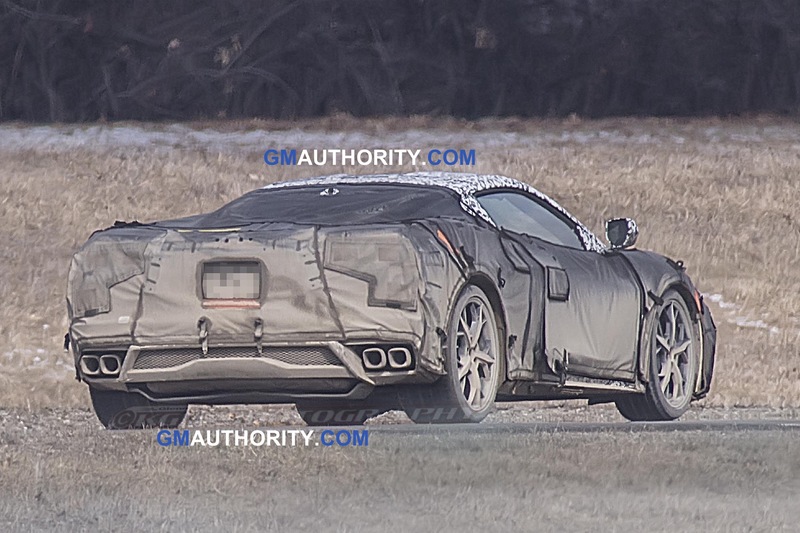 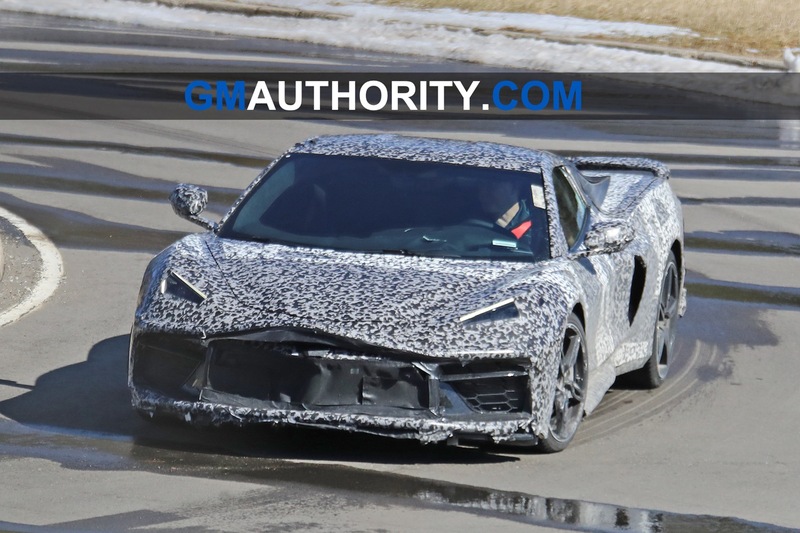 Interest and anticipation surrounding the upcoming mid-engine Corvette C8 is growing as fans, enthusiasts and observers scrutinize every bit of news about the car. 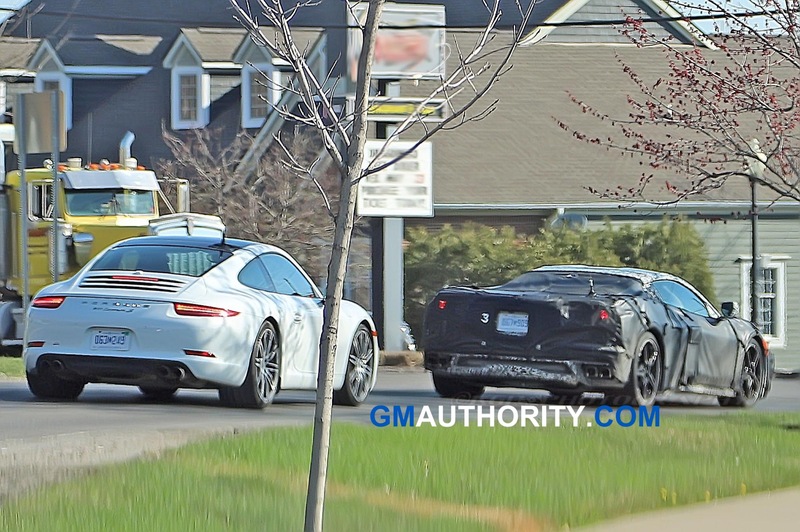 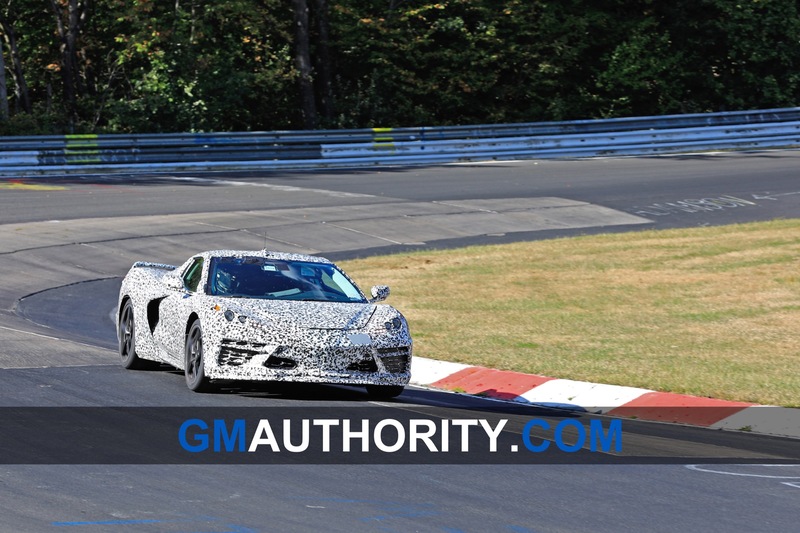 The latest bit comes from Road & Track, and it’s more speculation than news. 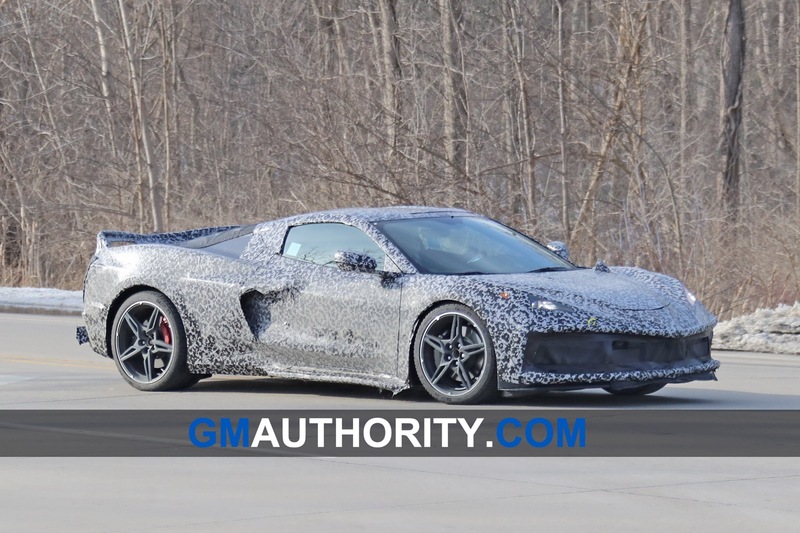 The publication believes the mid-engine Corvette C8 will forego a seven-speed dual-clutch gearbox rumored previously for an eight-speed dual-clutch unit sourced from ZF, the same supplier that supplies Porsche’s PDK dual-clutch transmissions. 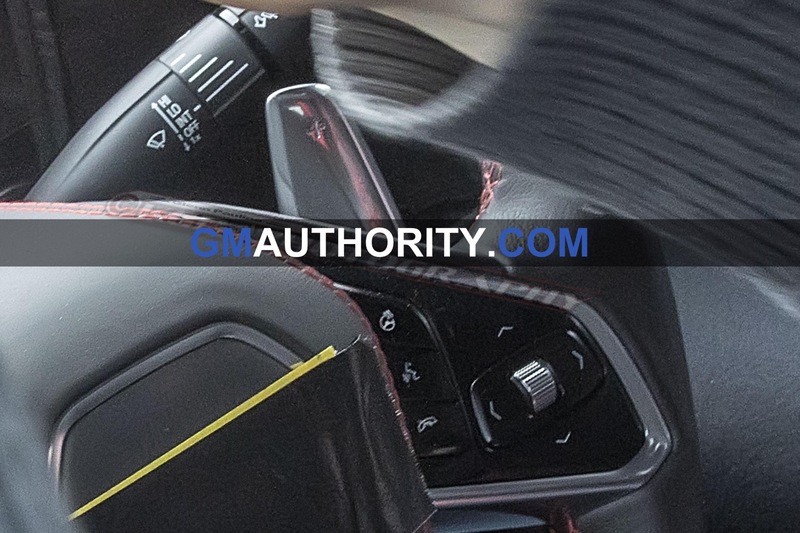 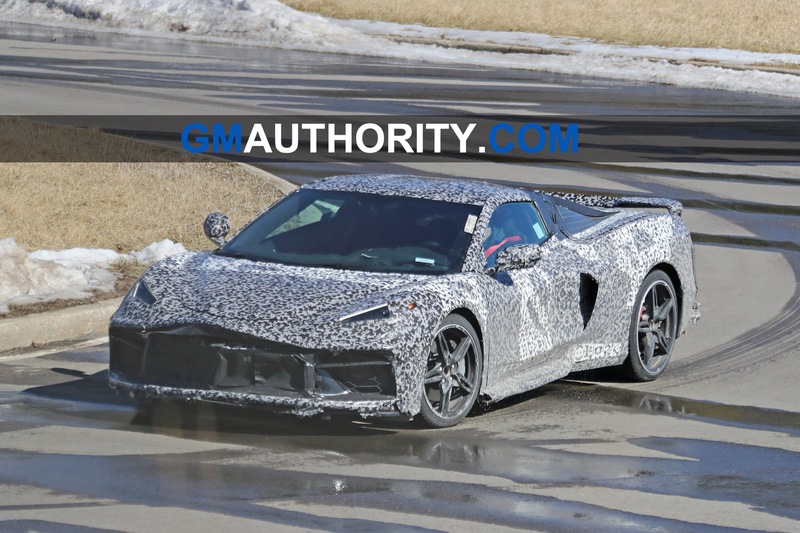 News of an eight-speed gearbox dropped last month when an alleged order guide for the mid-engine Corvette leaked online. 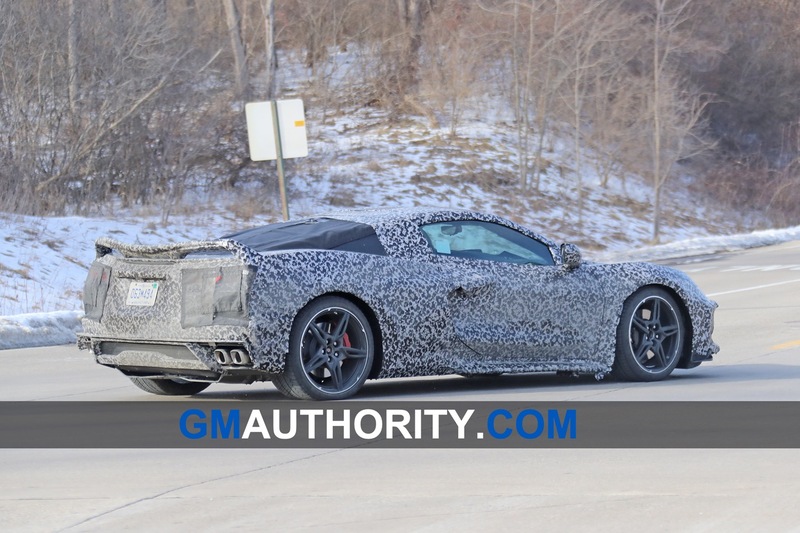 R&T believes that, with so few eight-speed gearboxes available that could handle Corvette-levels of torque, ZF’s 8DT would make perfect sense for use in the vehicle. 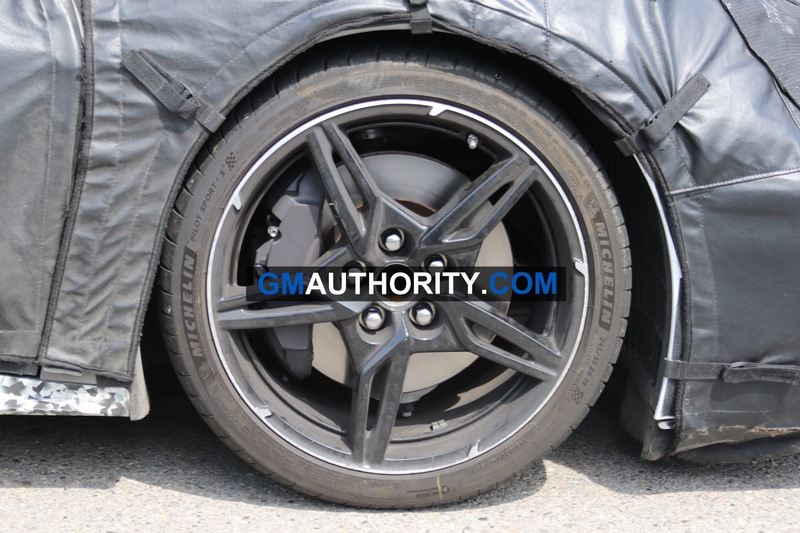 The 8DT recently launched in a slew of Volkswagen Group products that include the Porsche Panamera and Bentley Continental. 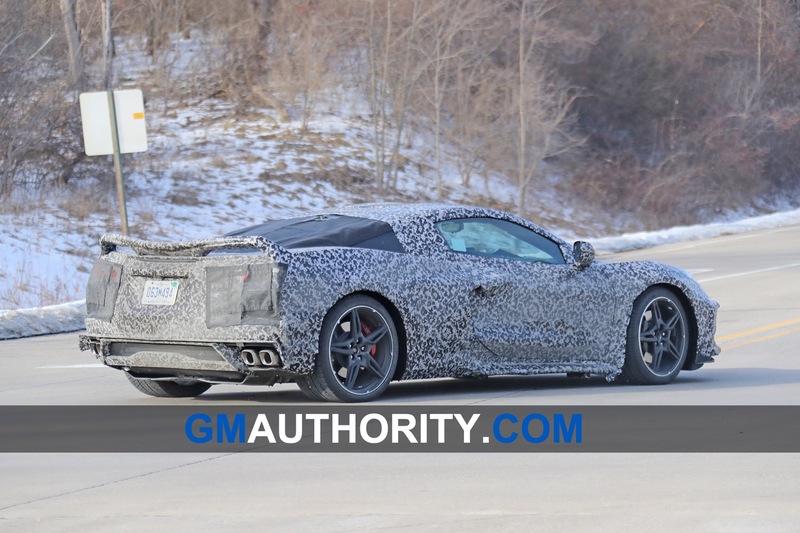 The unit is rated to handle a maximum of 738 pound-feet of torque, which makes it plenty capable of handling the output from the rumored 6.2-liter LT2 V8 that will reportedly power the base mid-engine Corvette C8. 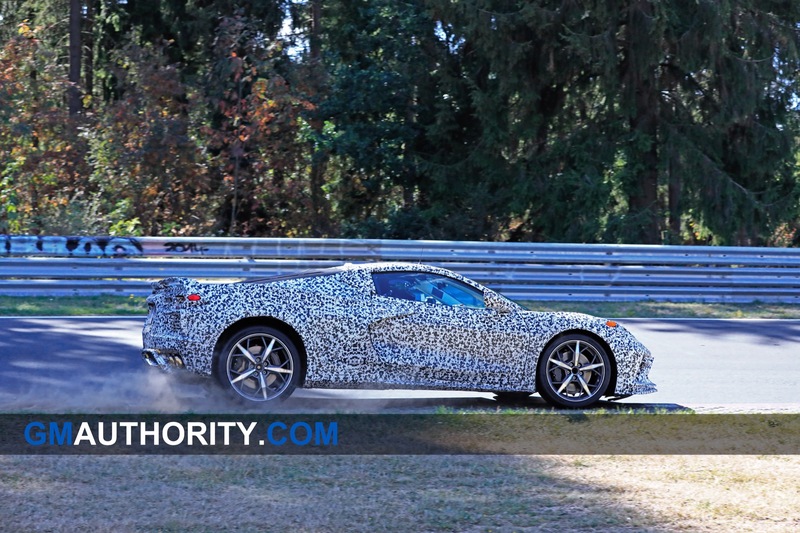 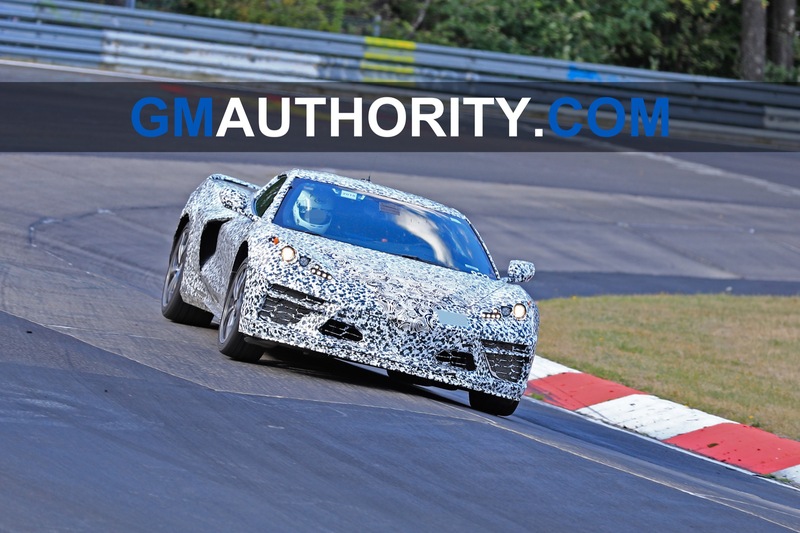 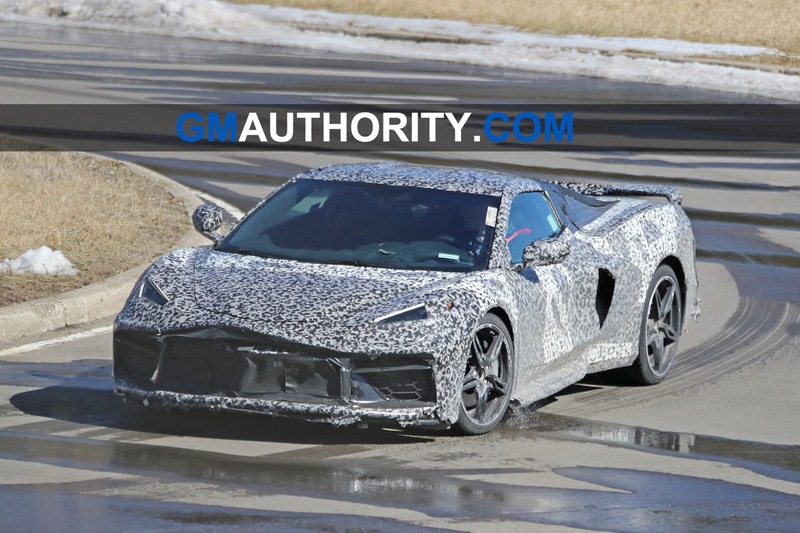 The torque-handling ability is just one reason Road & Track believes that the mid-engine Corvette C8 will use ZF’s 8DT eight-speed transmission. 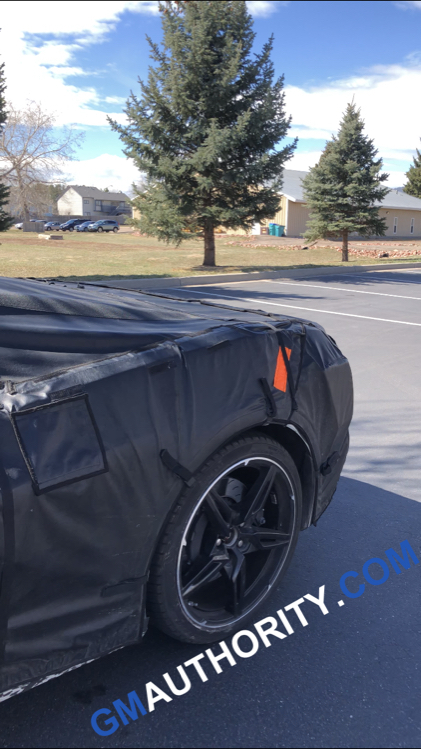 The other reason runs a bit deeper. 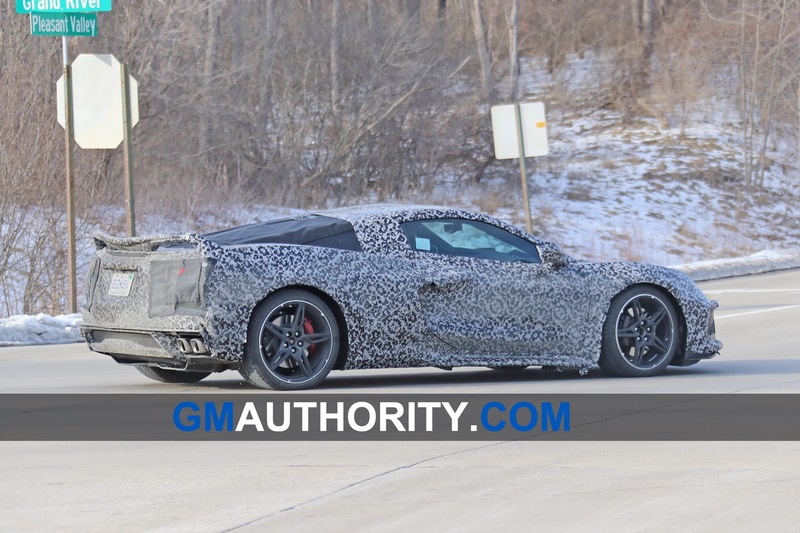 There have been rumors that Chevrolet plans to develop a hybrid version of the mid-engine Corvette C8, and the ZF 8DT is capable of accommodating a hybrid powertrain. 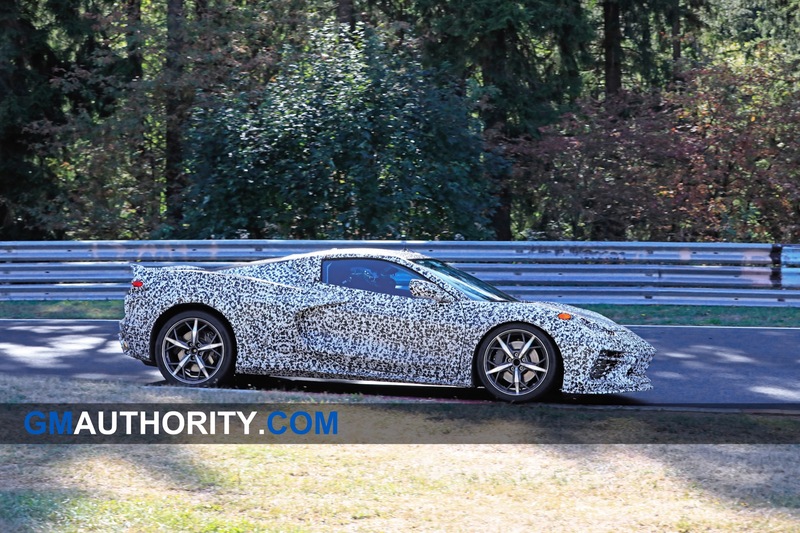 Using the ZF 8DT dual clutch provides General Motors with the necessary flexibility for future powertrain variants of the Corvette C8 without having to redesign the car to fit another transmission. 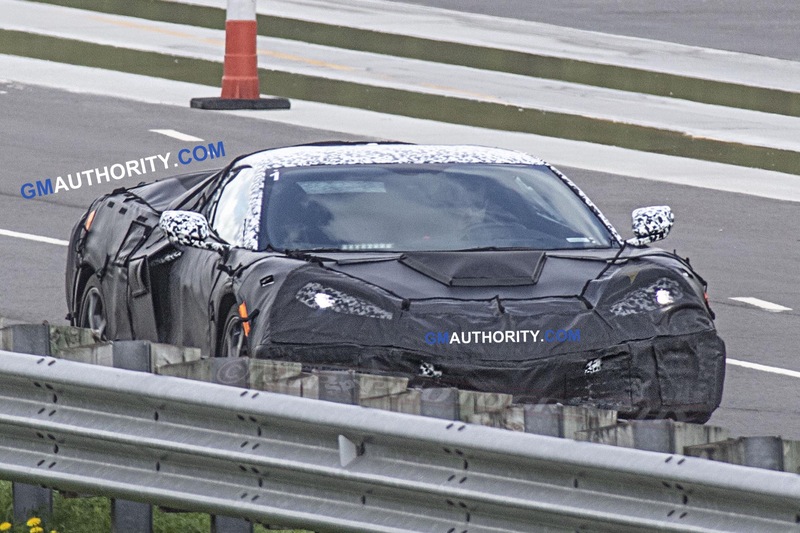 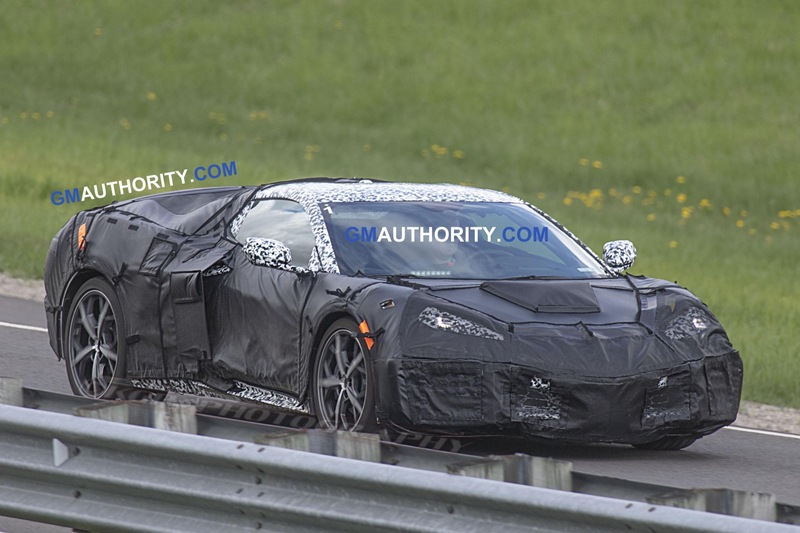 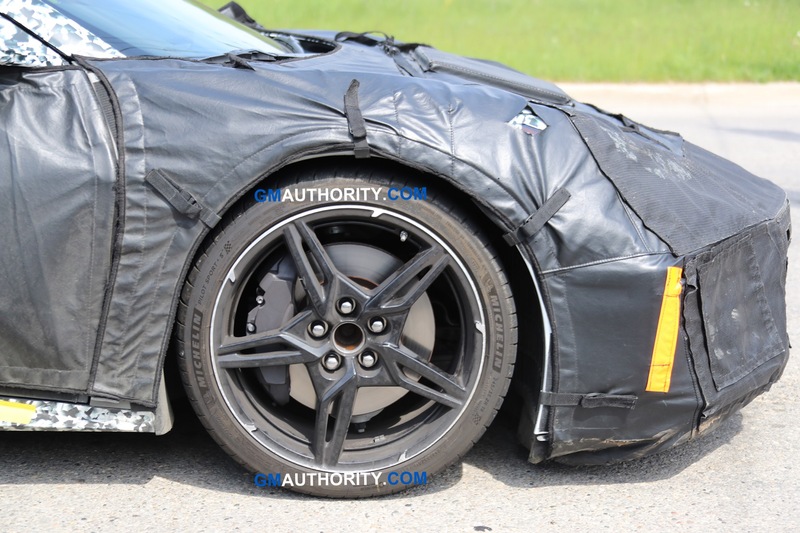 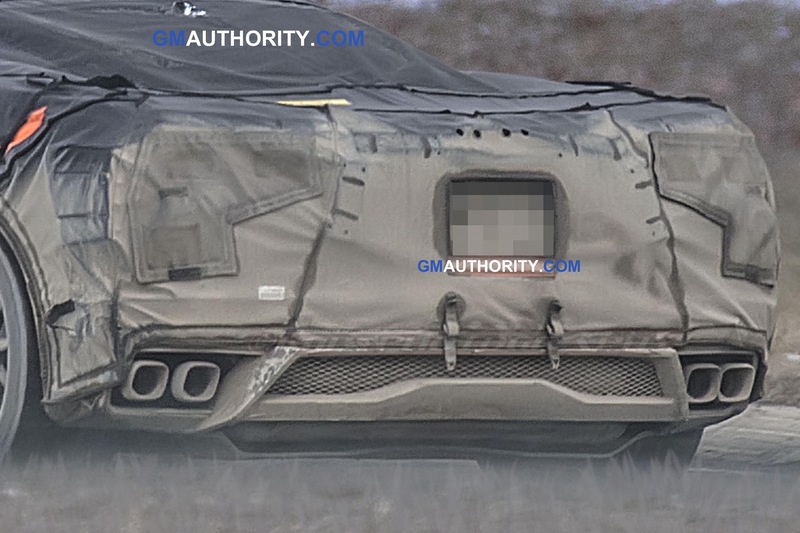 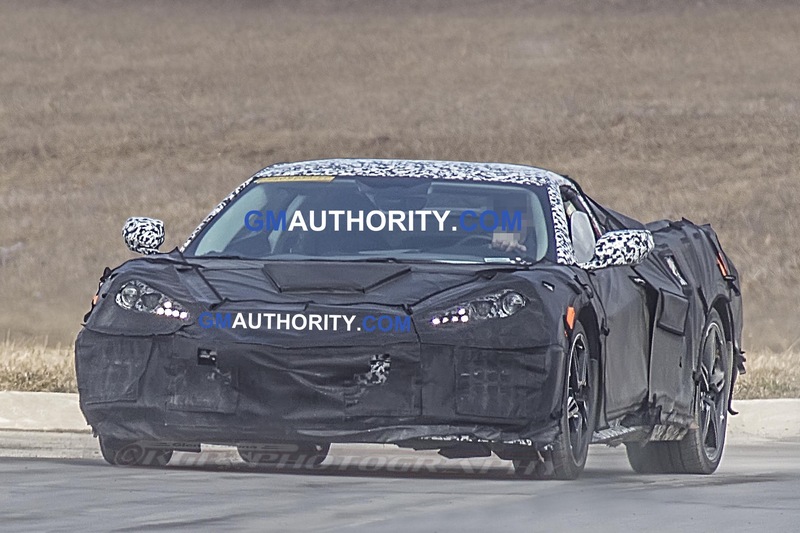 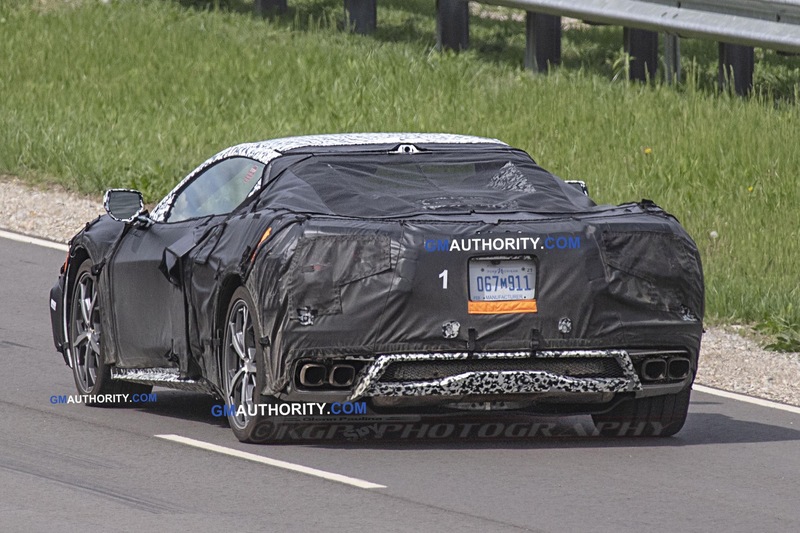 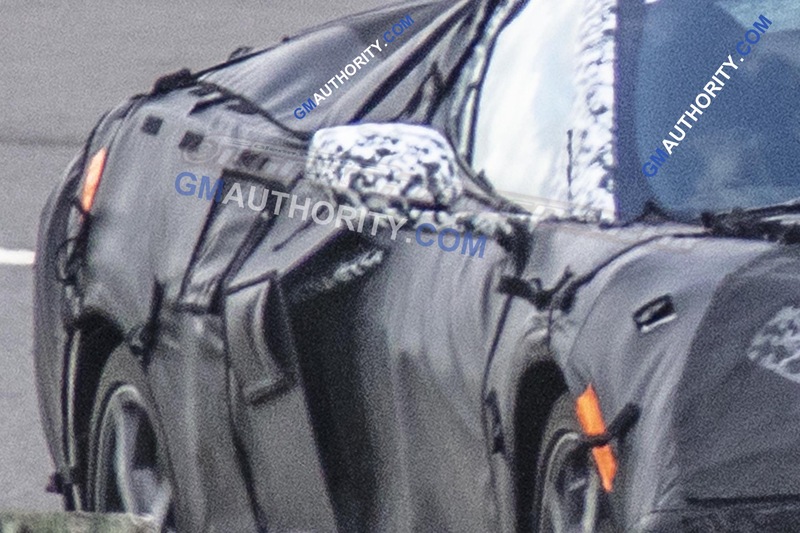 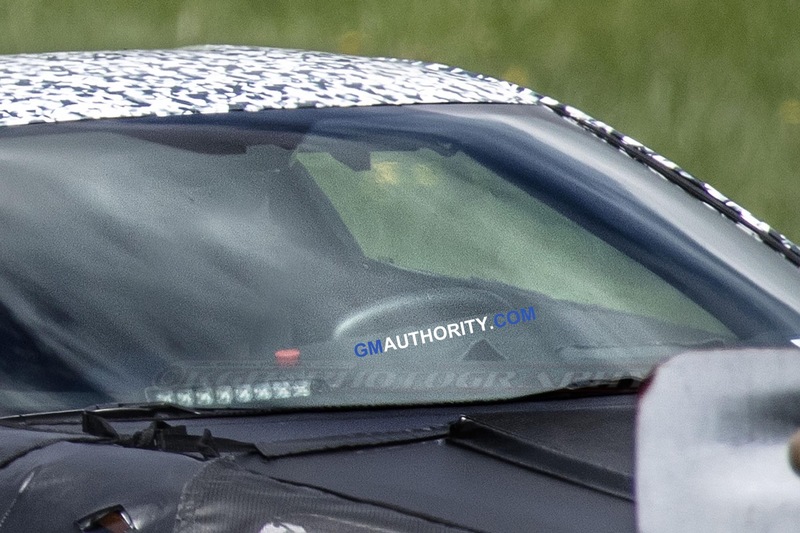 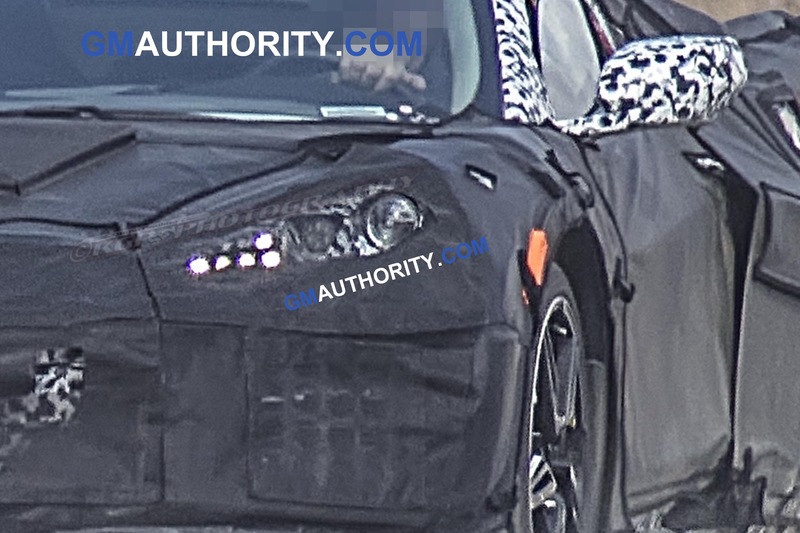 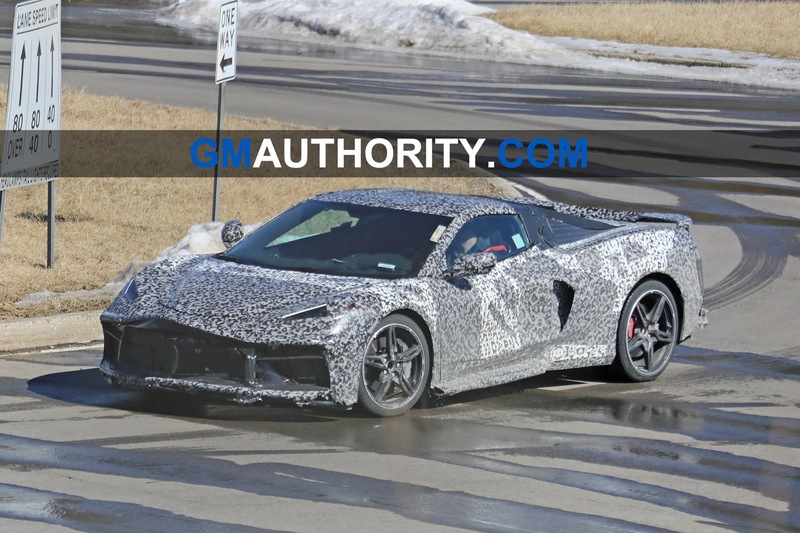 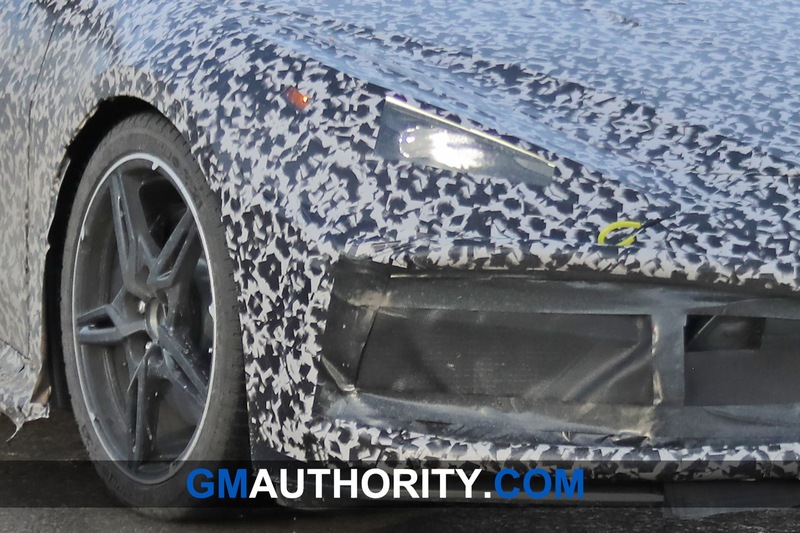 As of this writing, all of the above is pure conjecture, and as we get closer to the mid-engine Corvette’s launch, which is expected at the end of August, expect to see more rumors and leaks, and even more speculation. 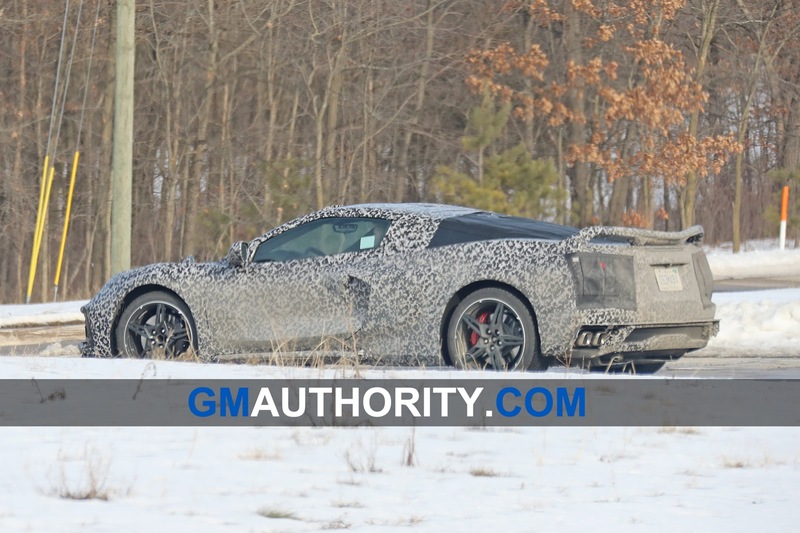 The mid-engine Corvette has been a project half a century in the making. 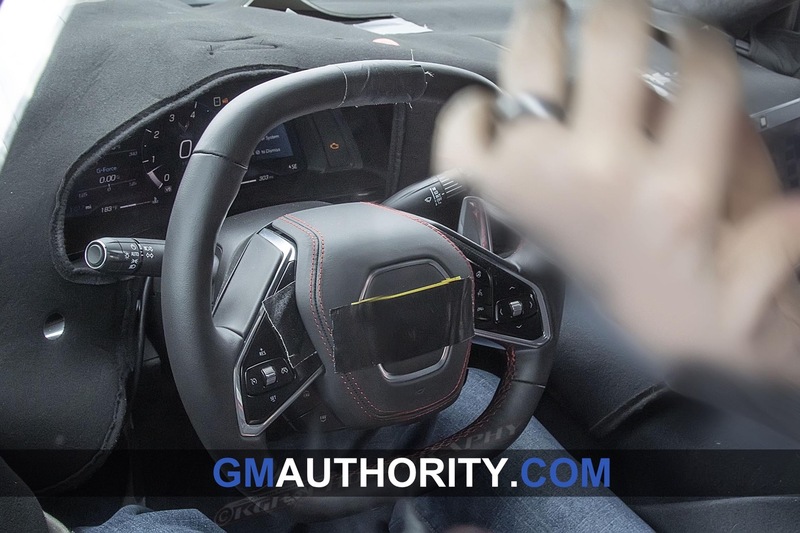 All eyes will be on General Motors when it decides to show the new sports car, which is expected to challenge the world’s most capable, prestigious and recognized sports cars. 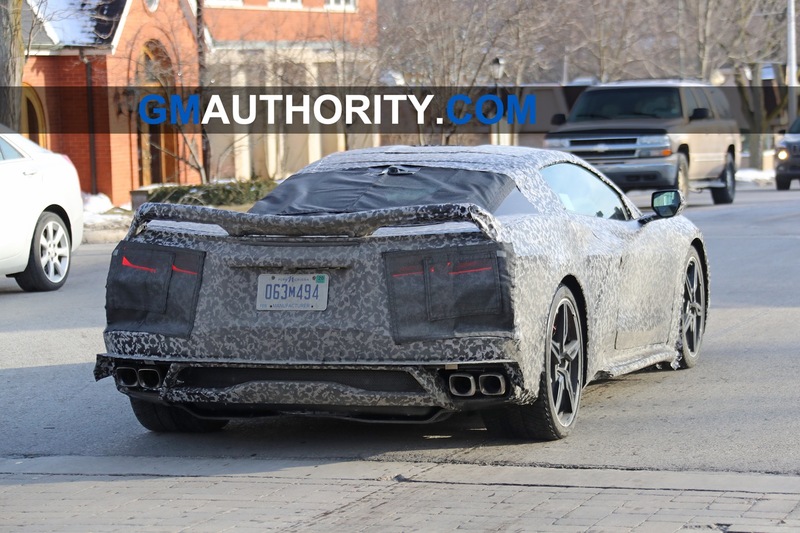 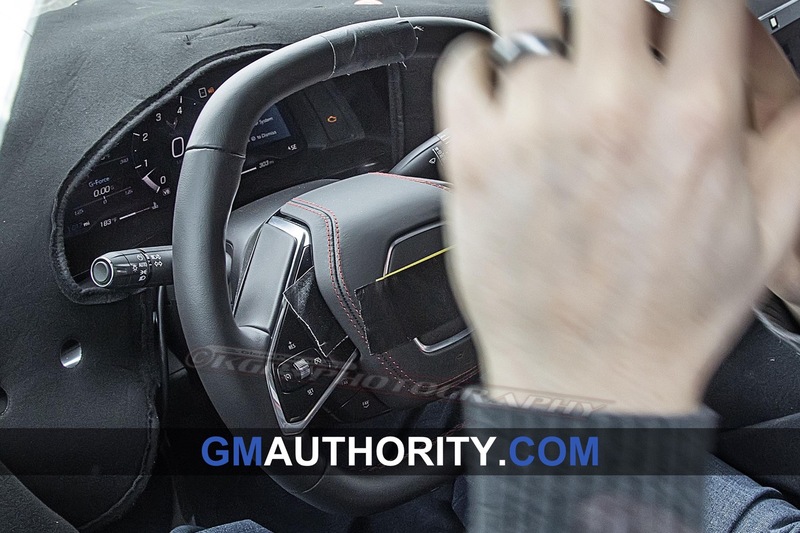 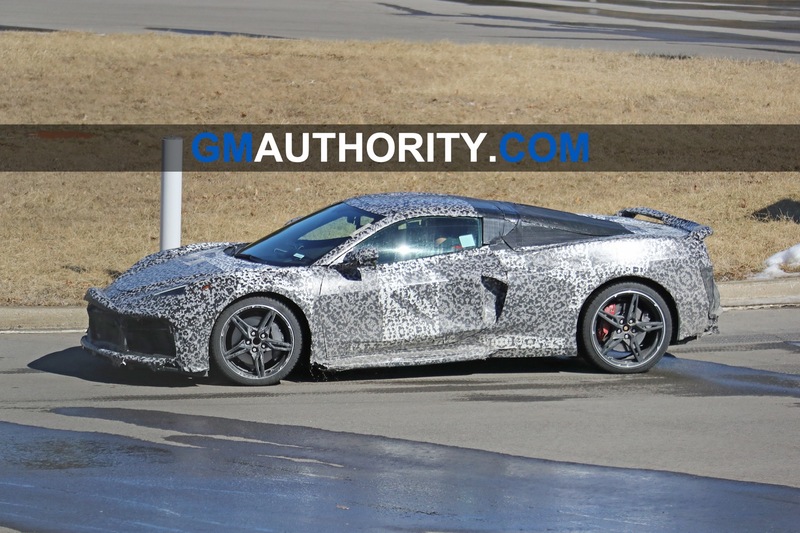 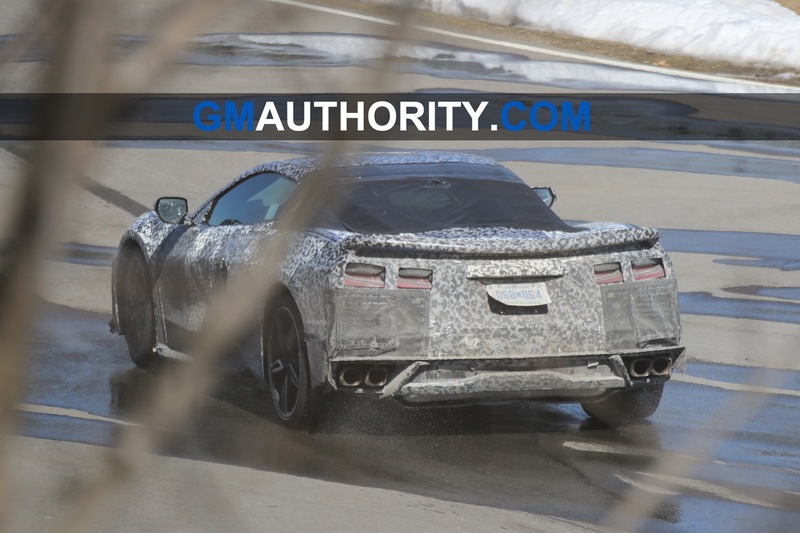 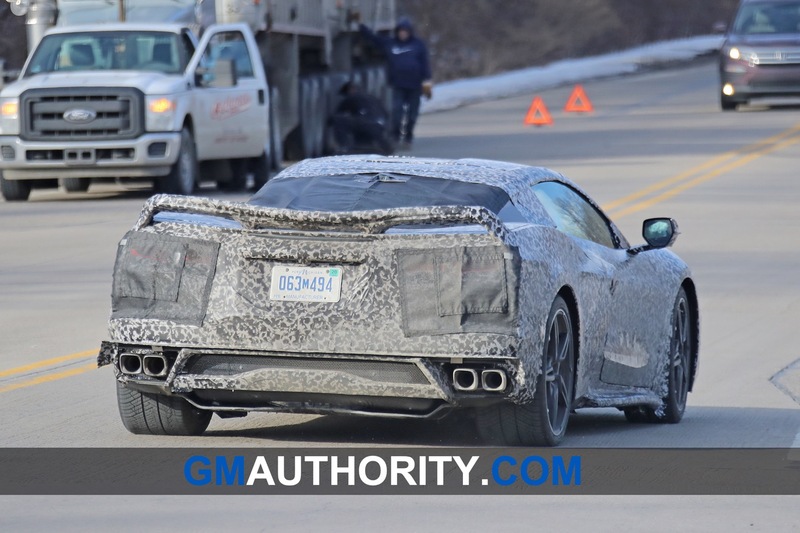 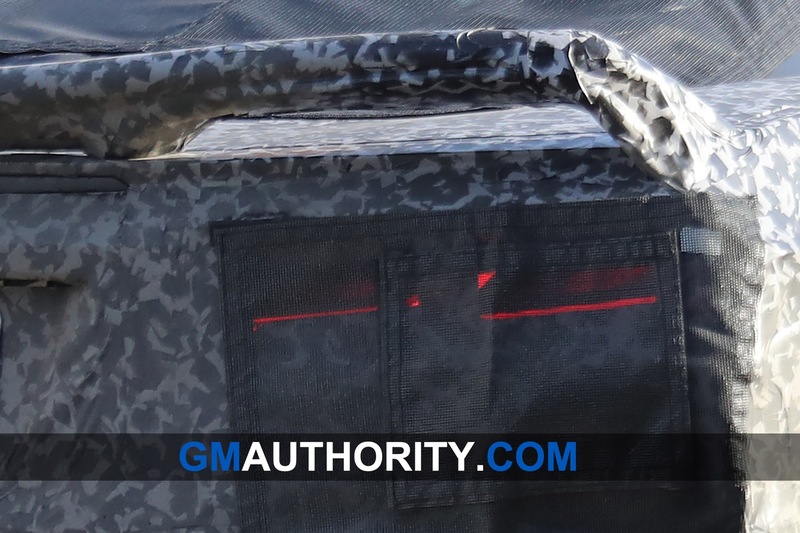 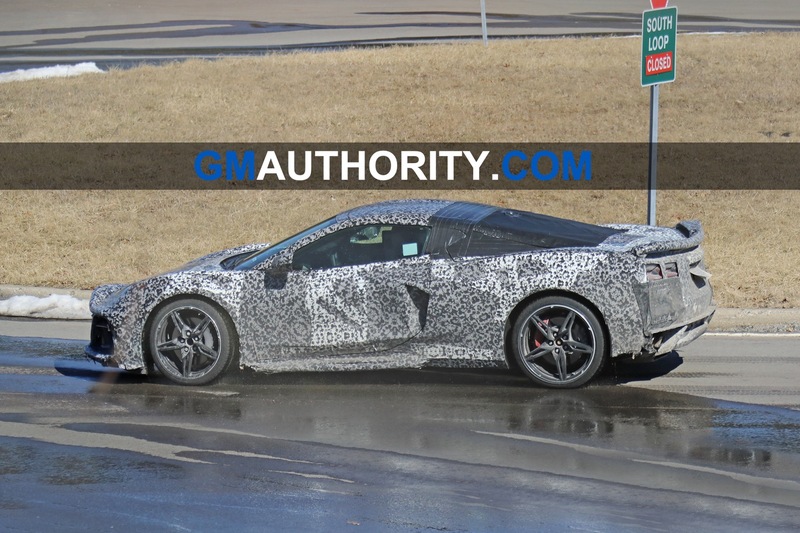 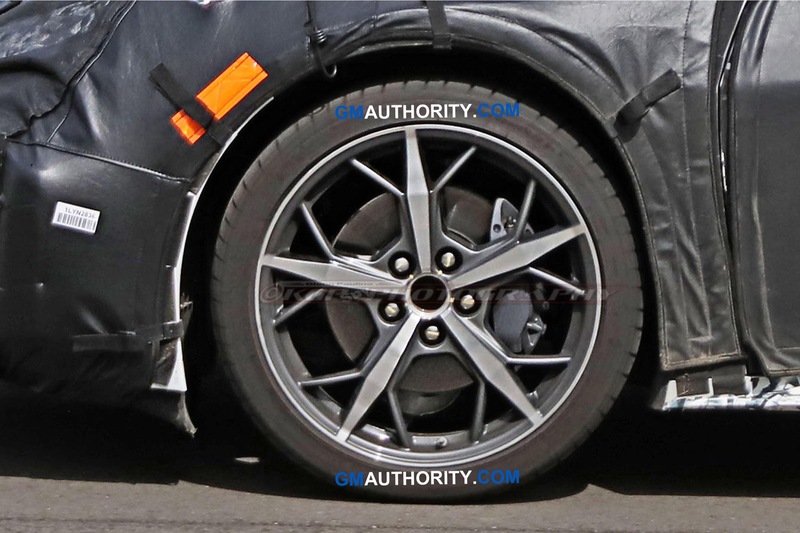 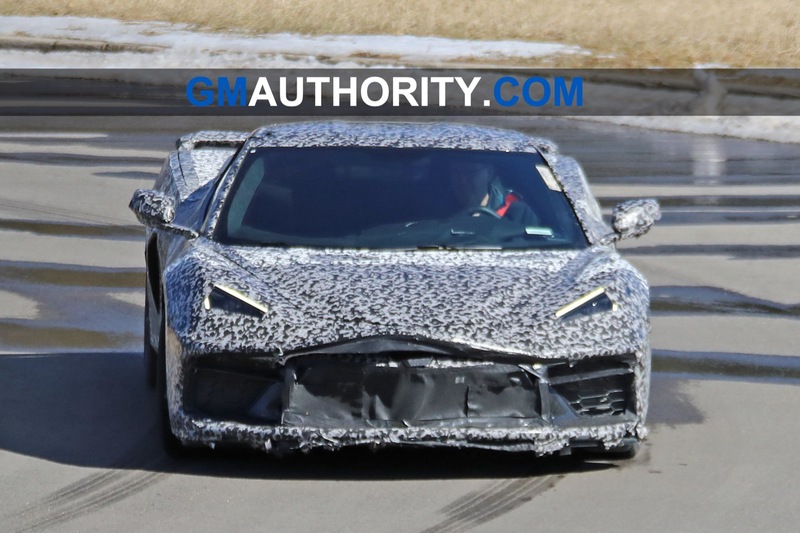 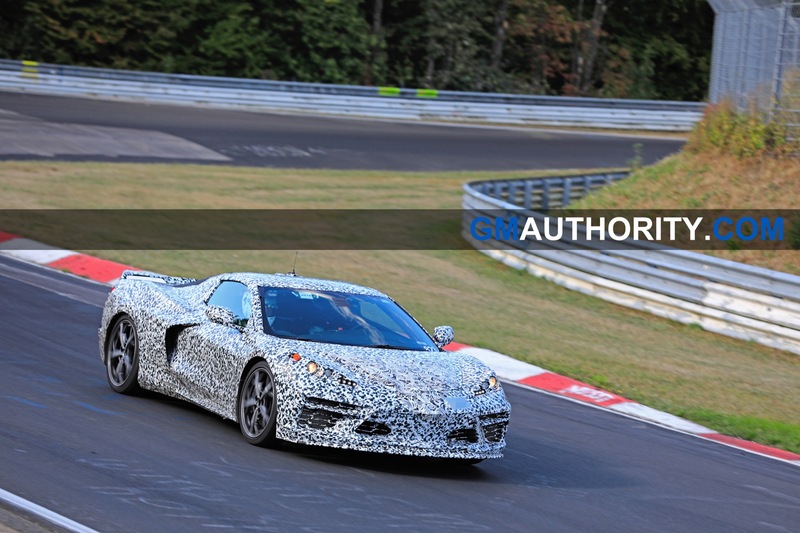 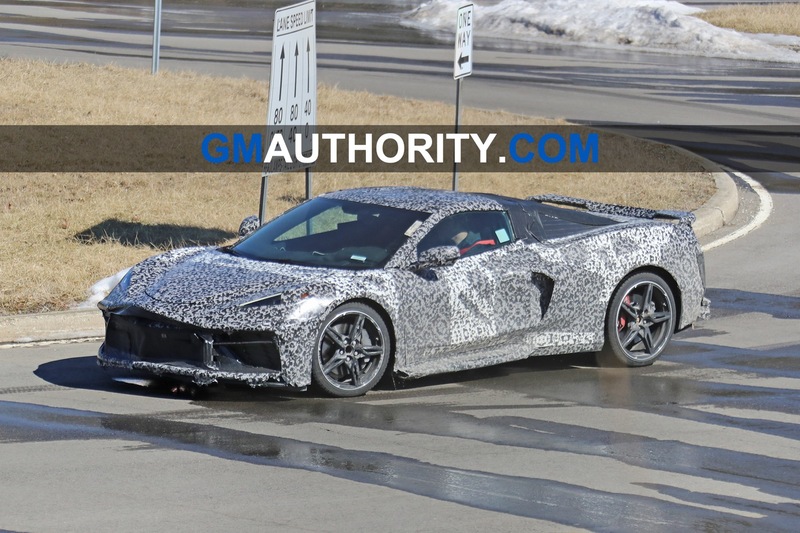 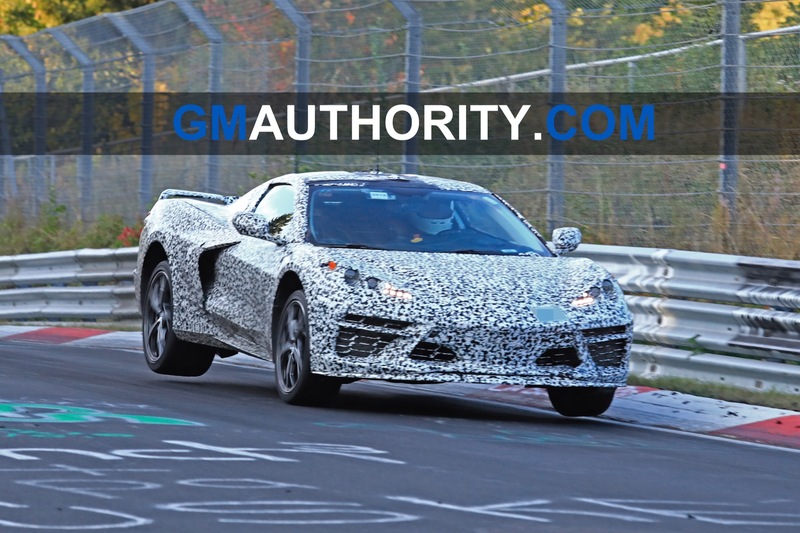 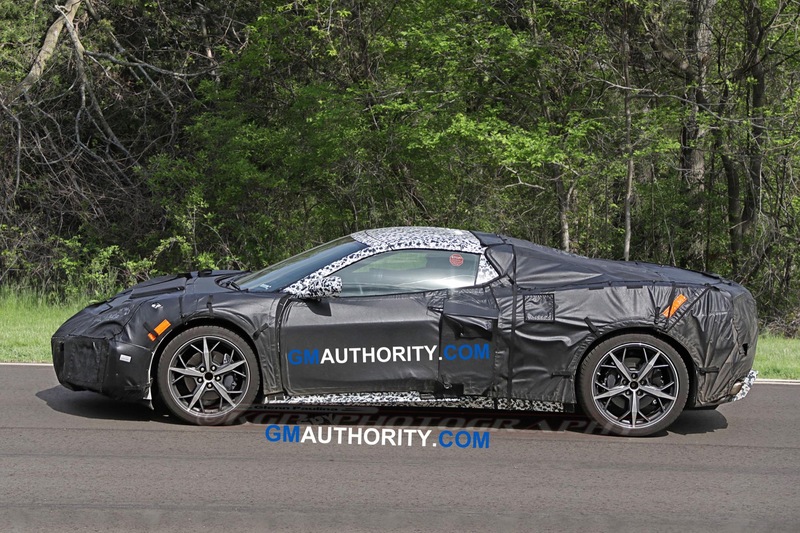 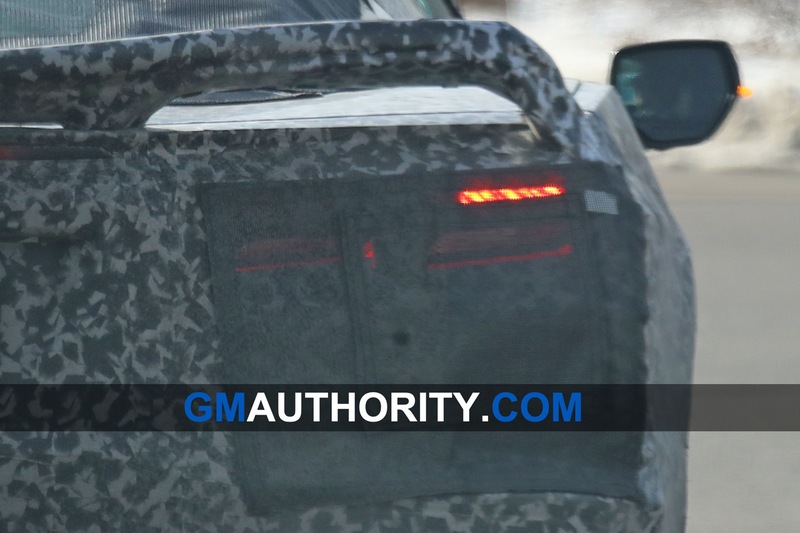 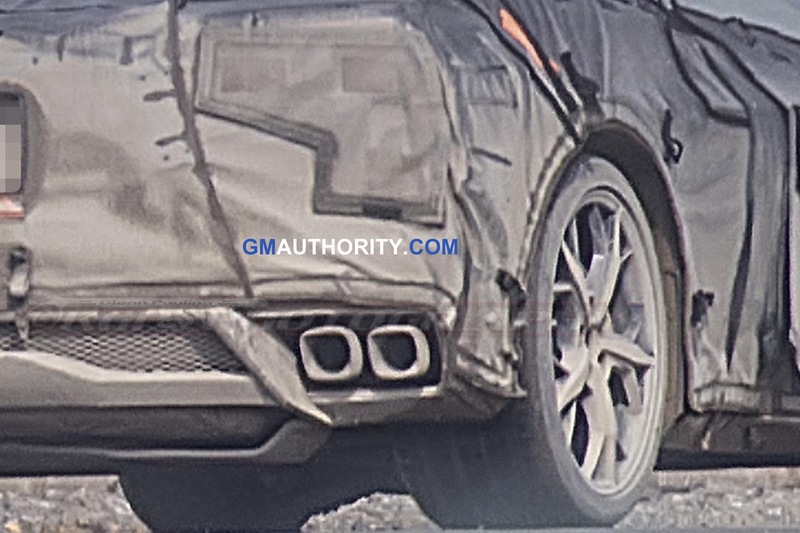 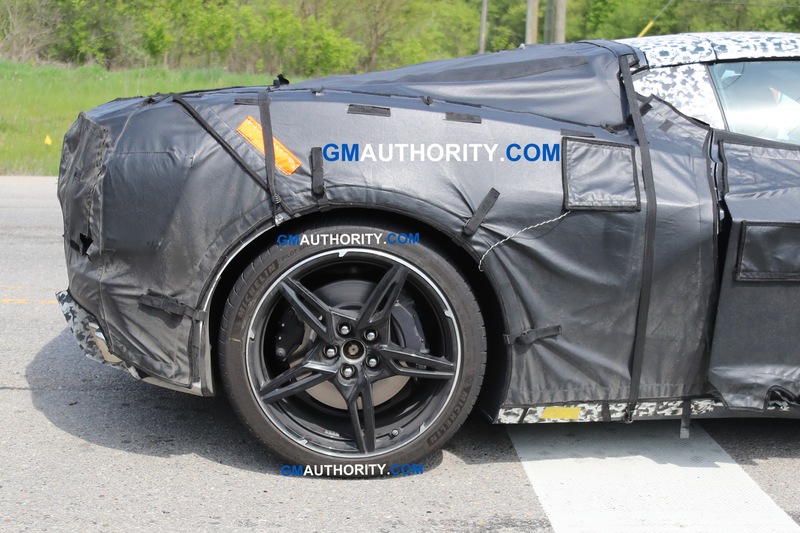 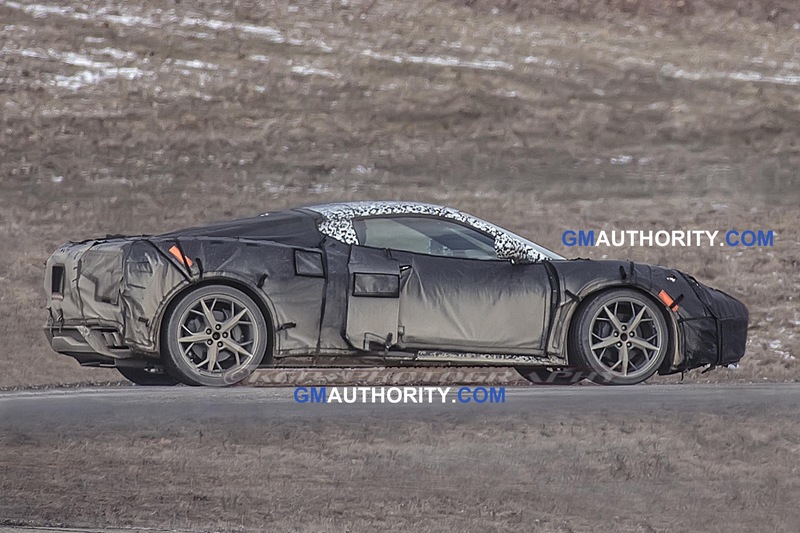 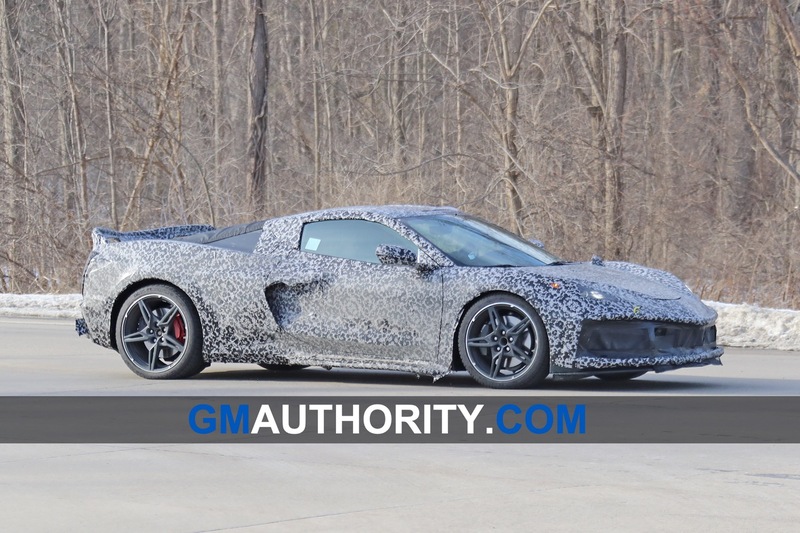 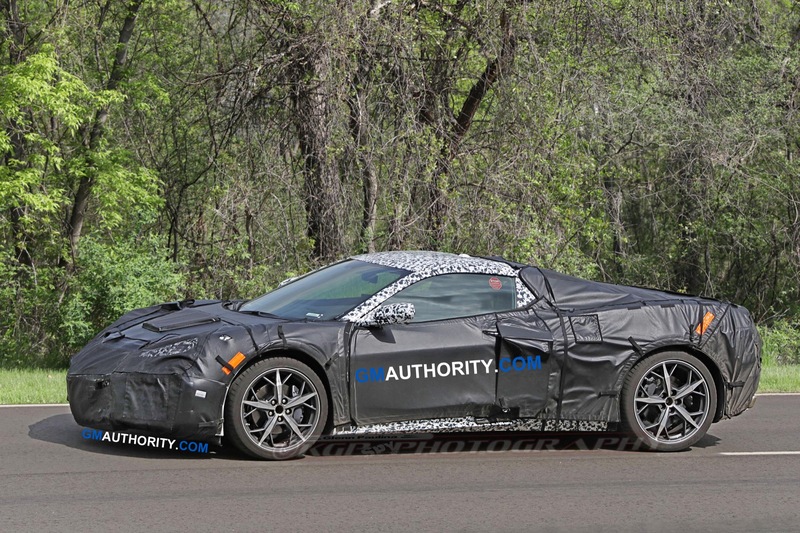 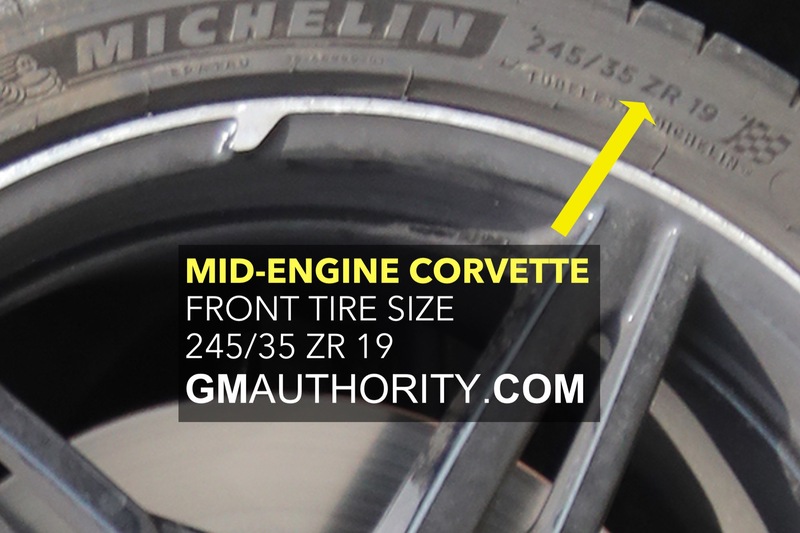 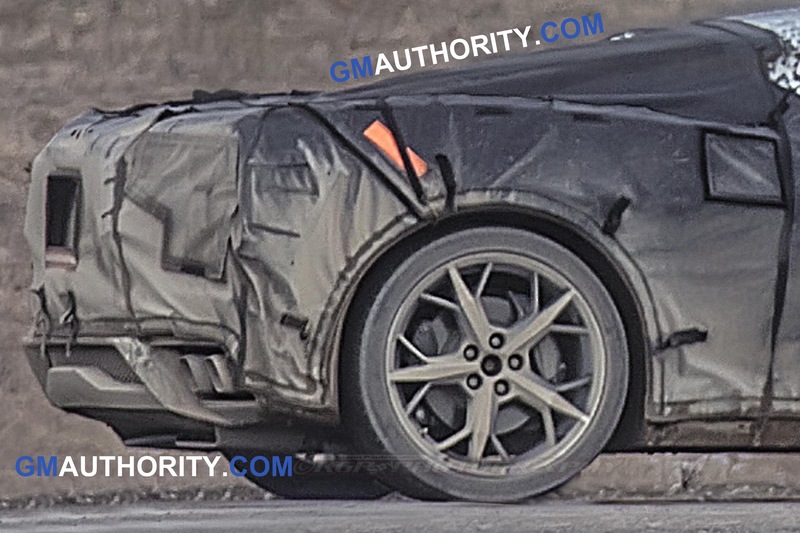 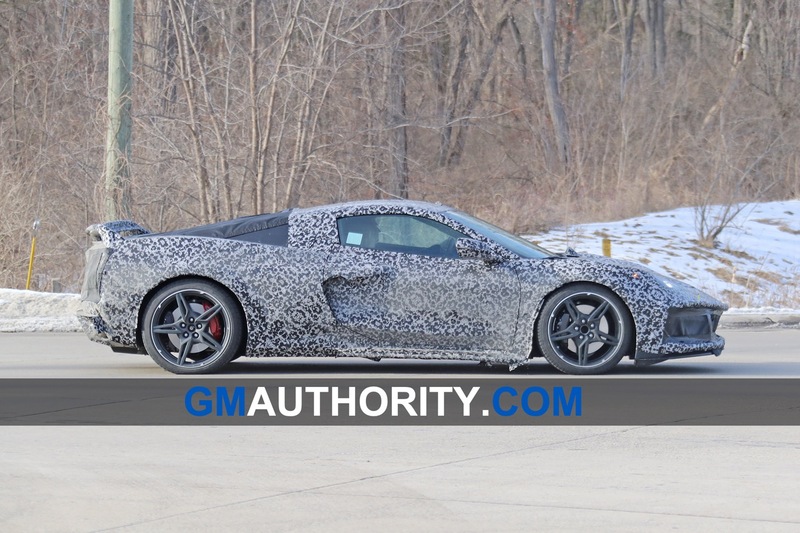 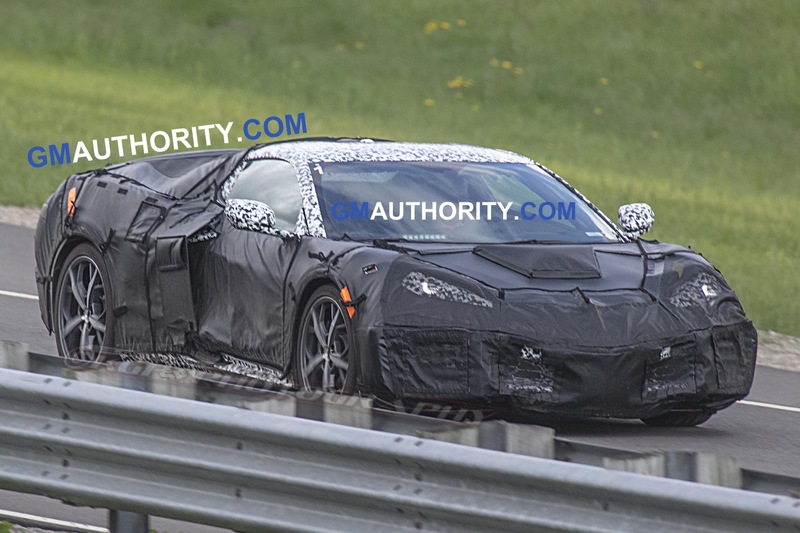 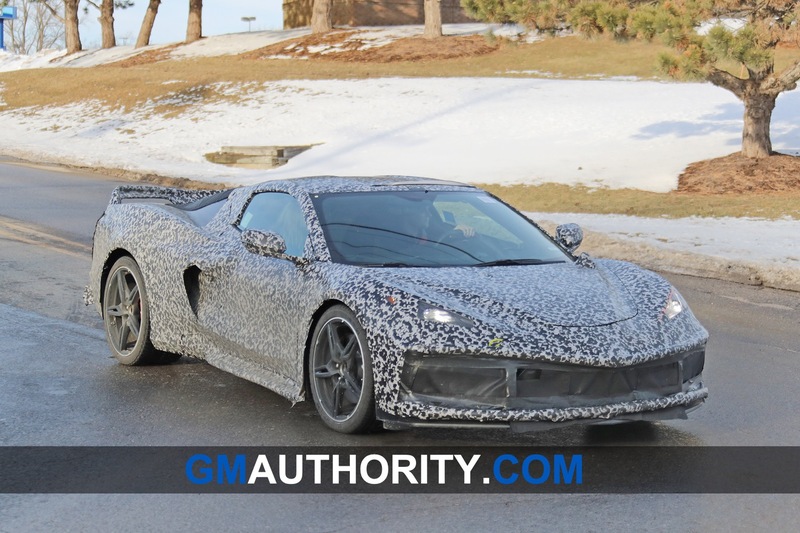 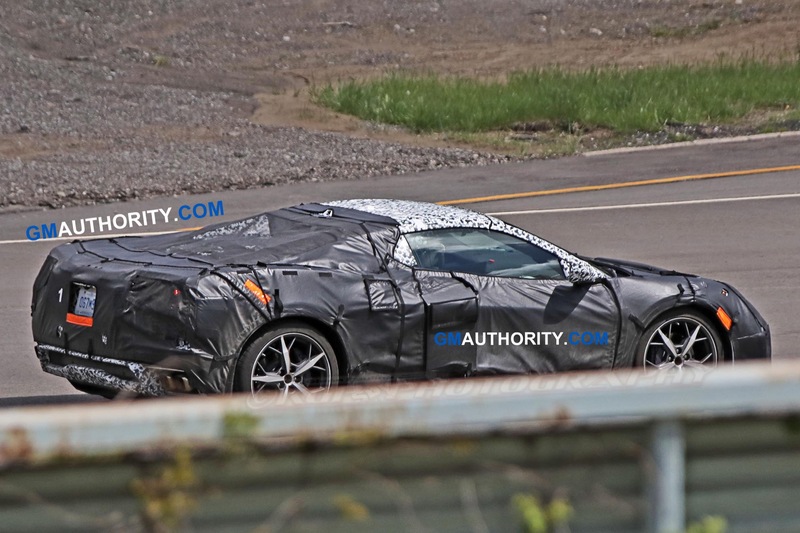 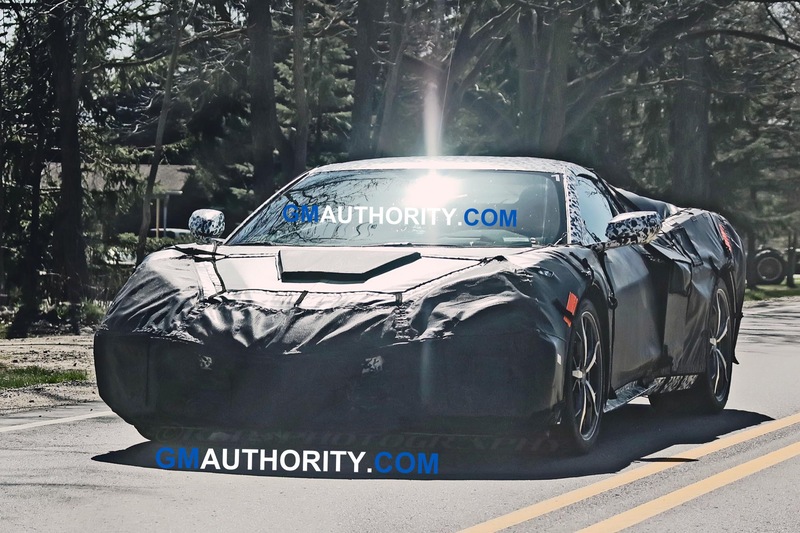 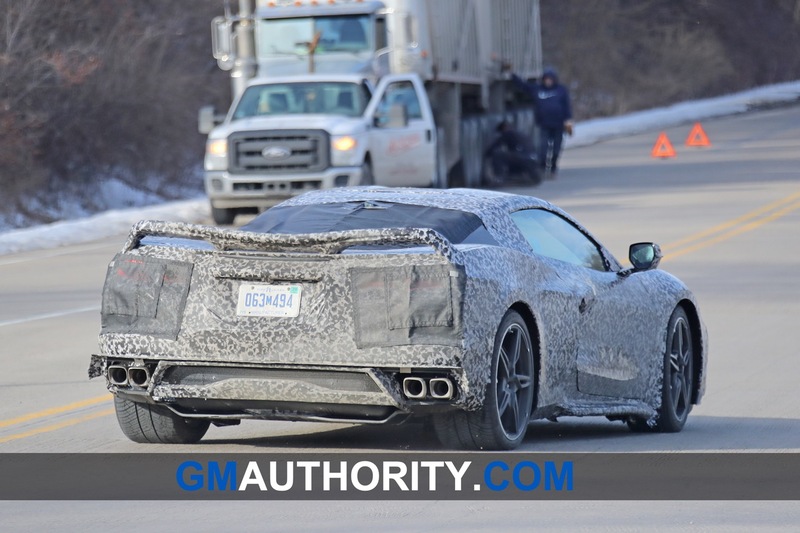 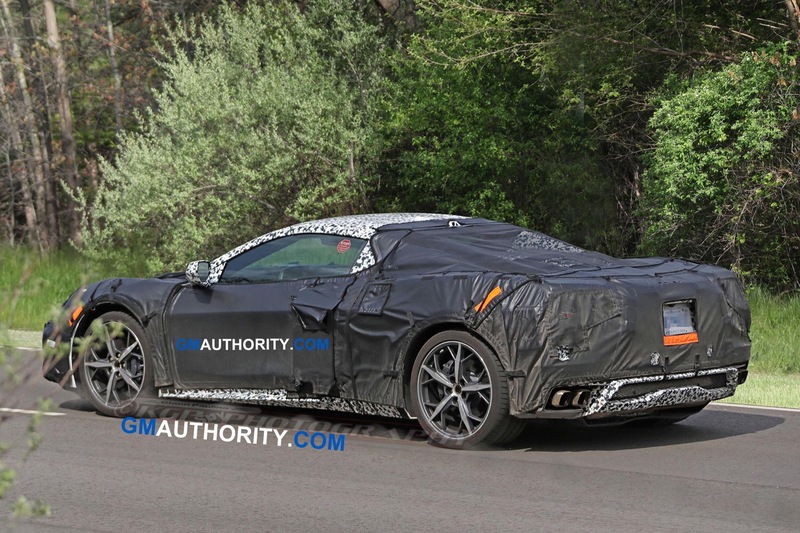 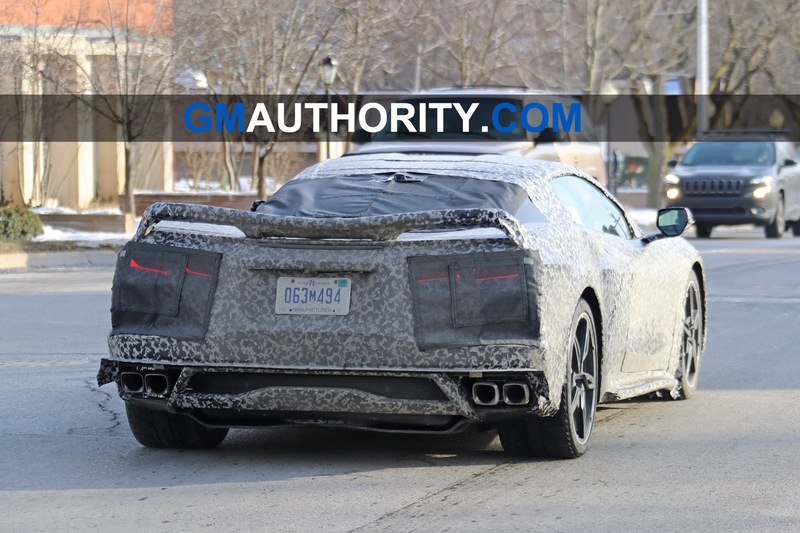 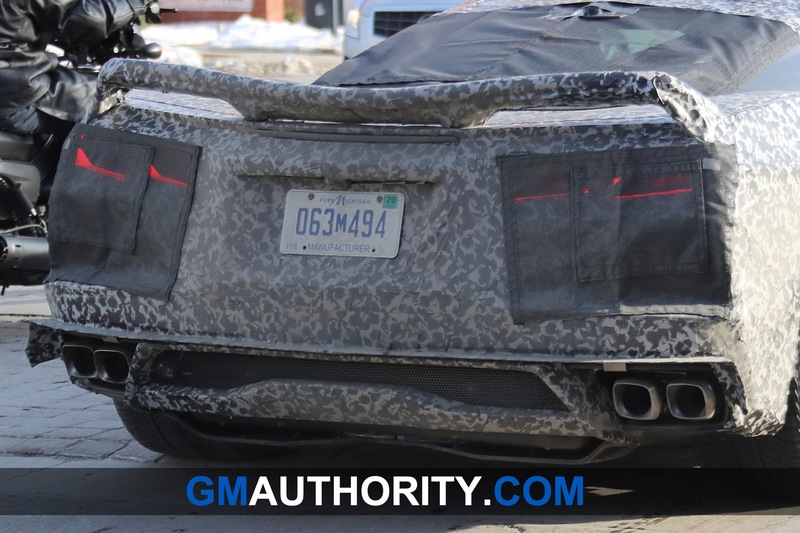 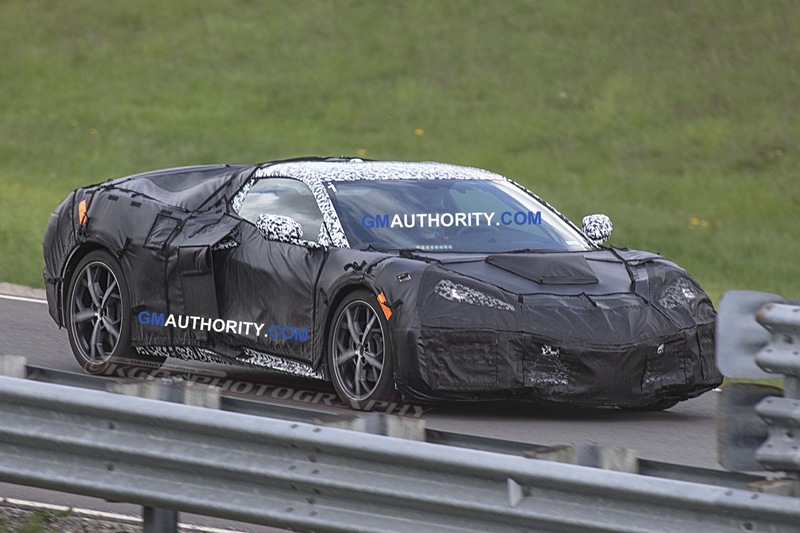 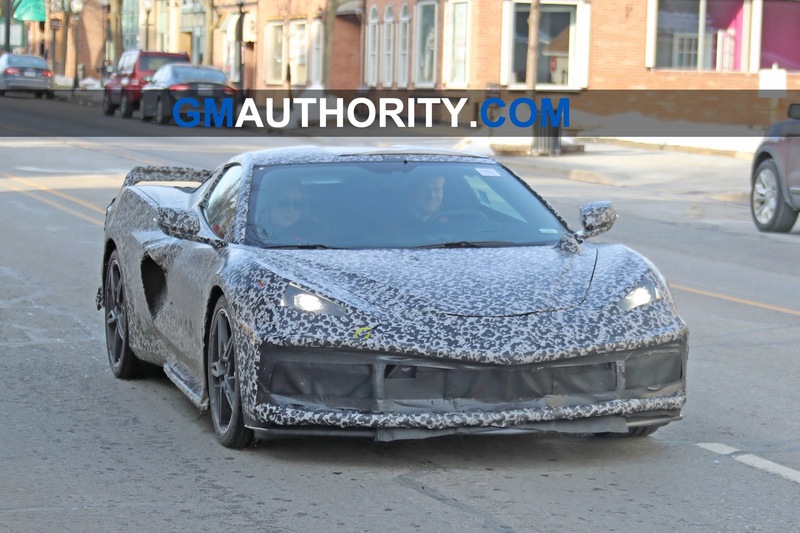 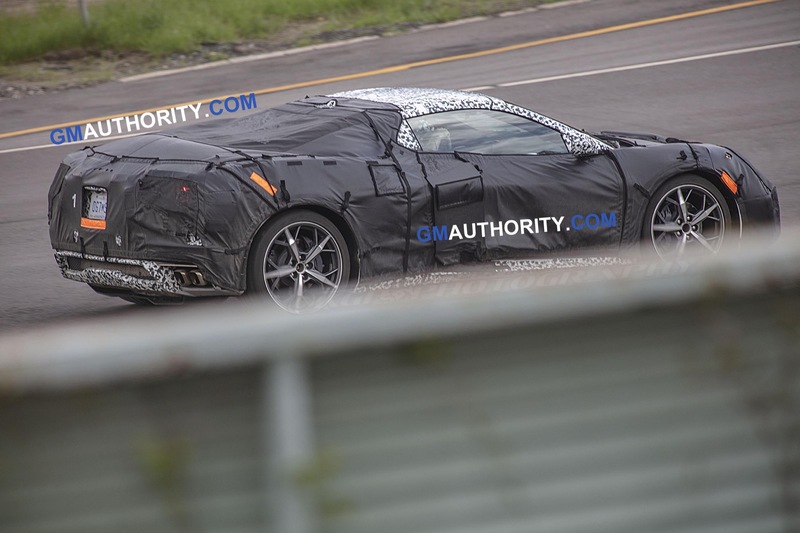 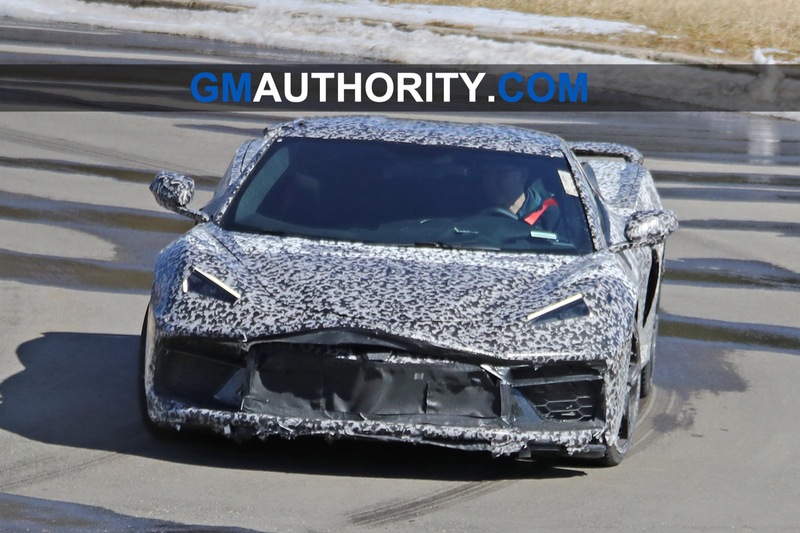 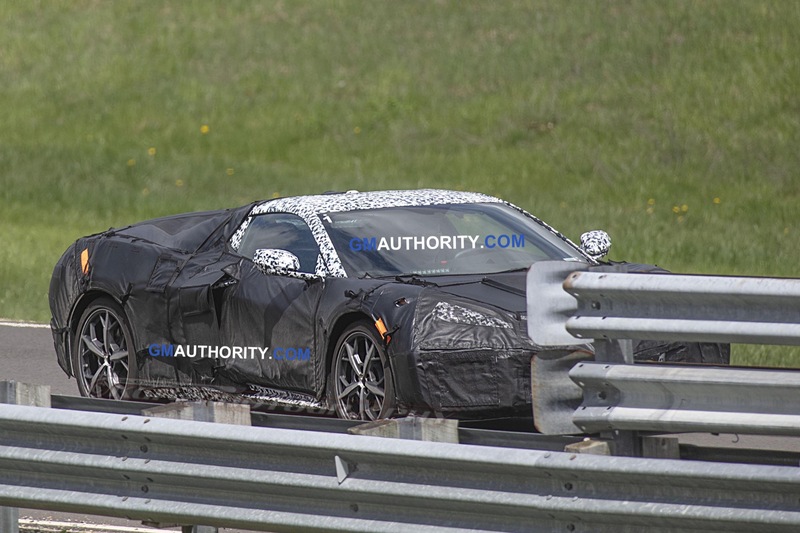 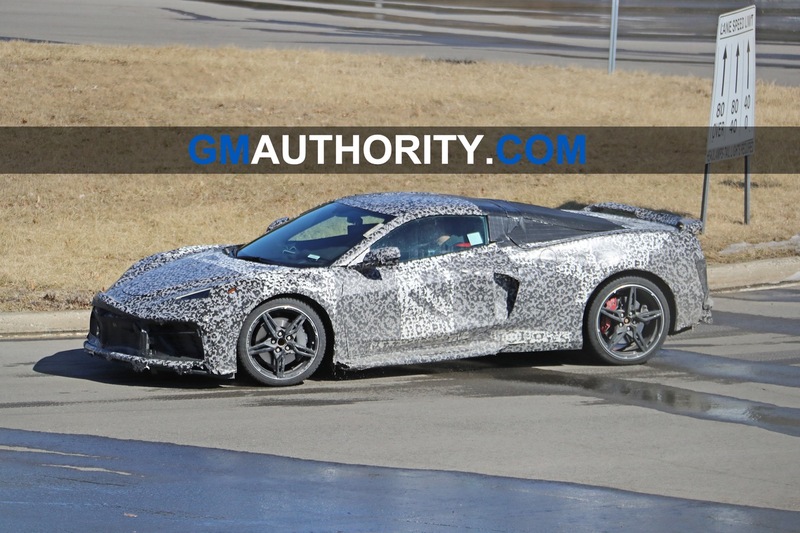 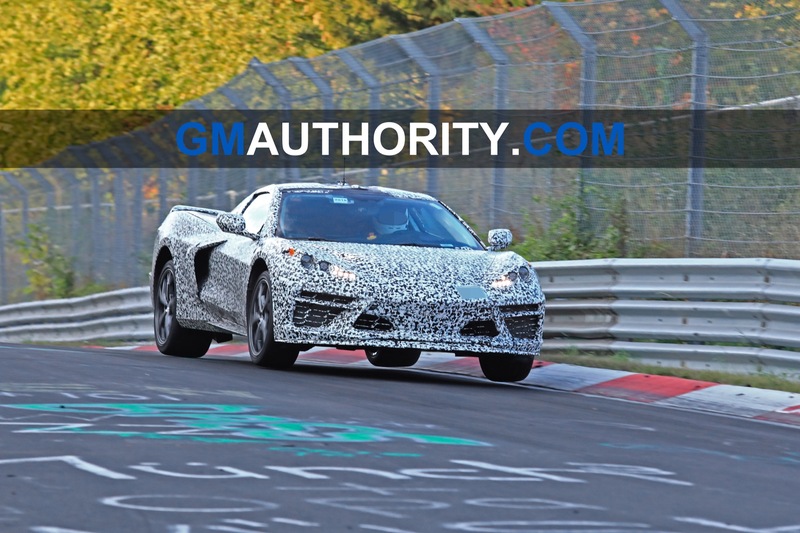 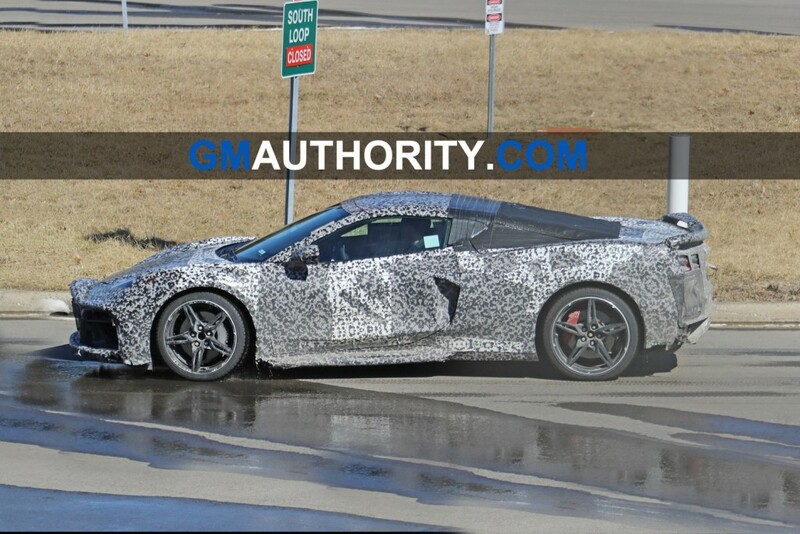 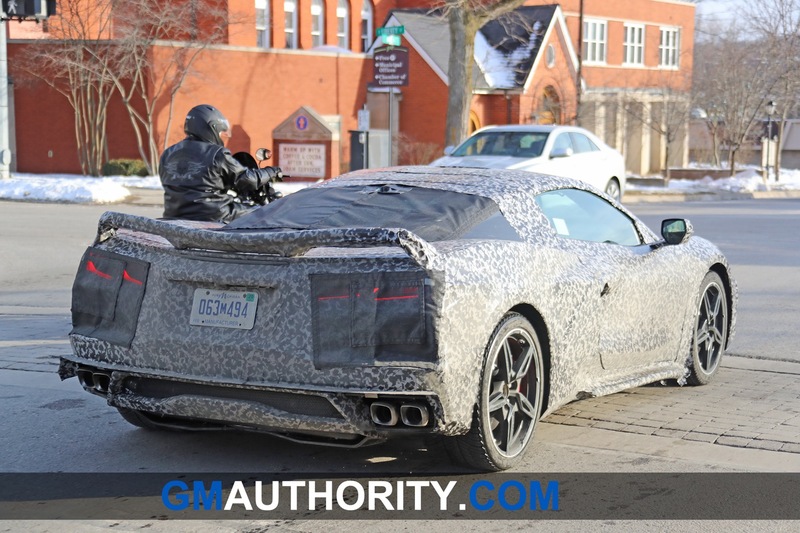 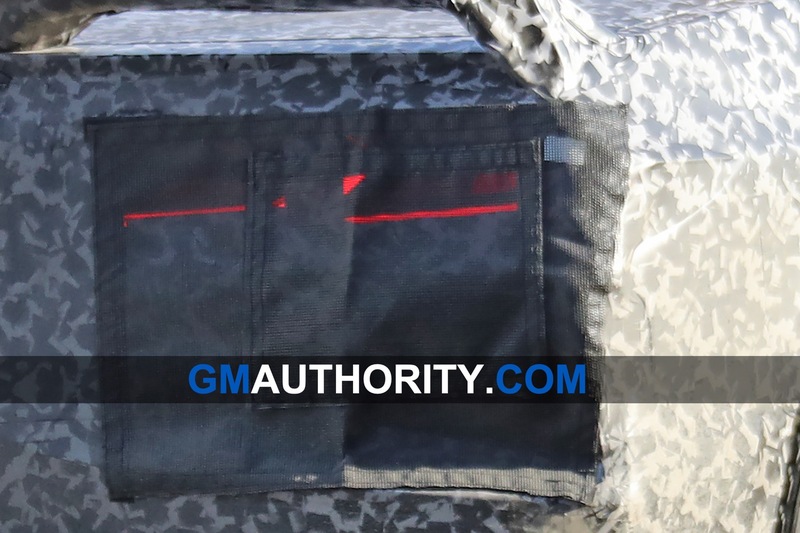 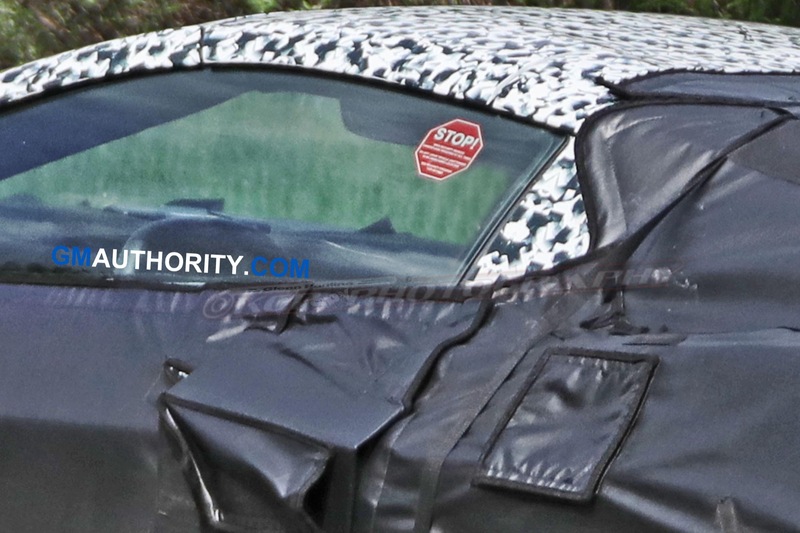 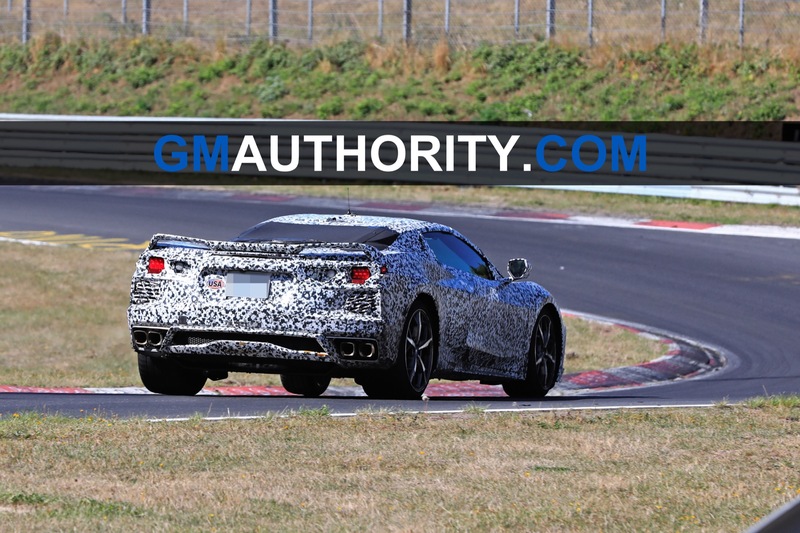 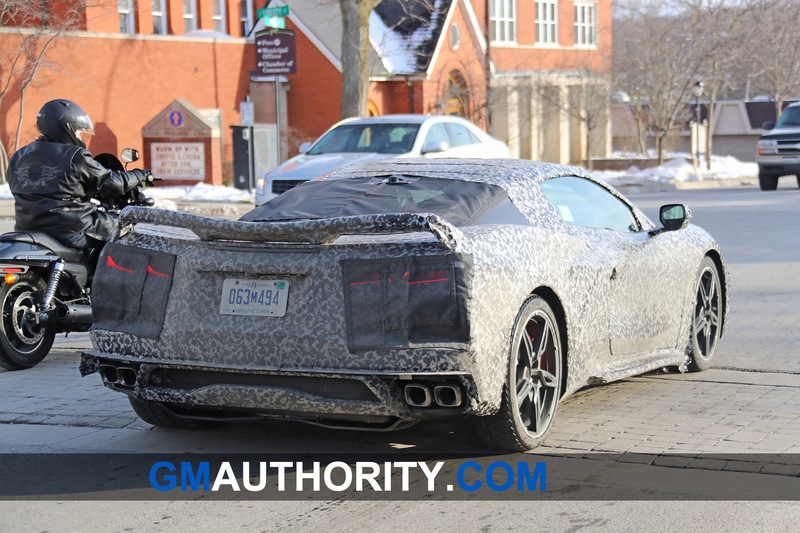 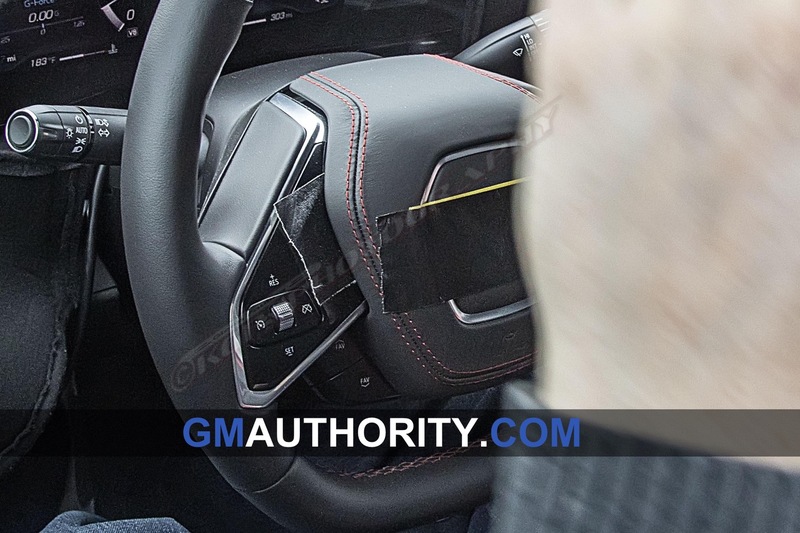 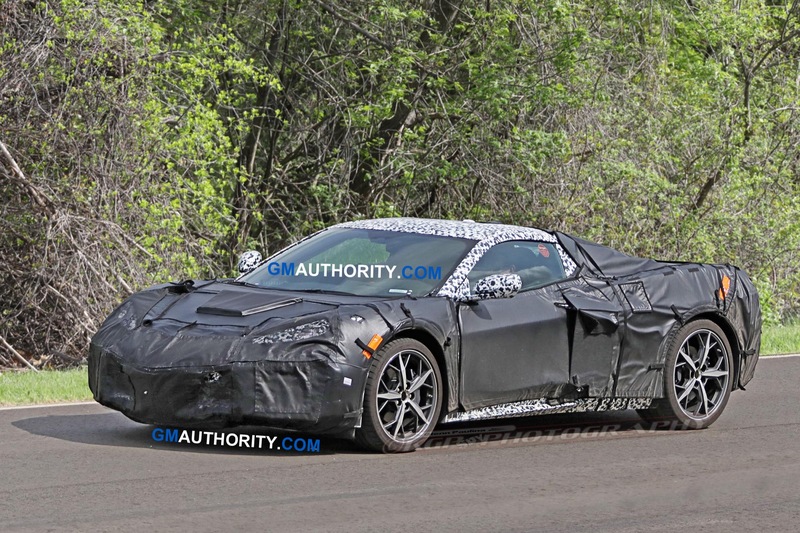 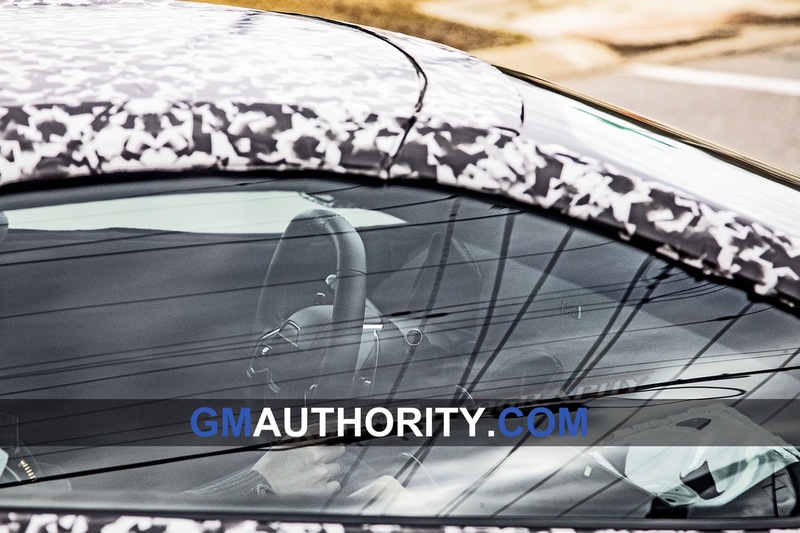 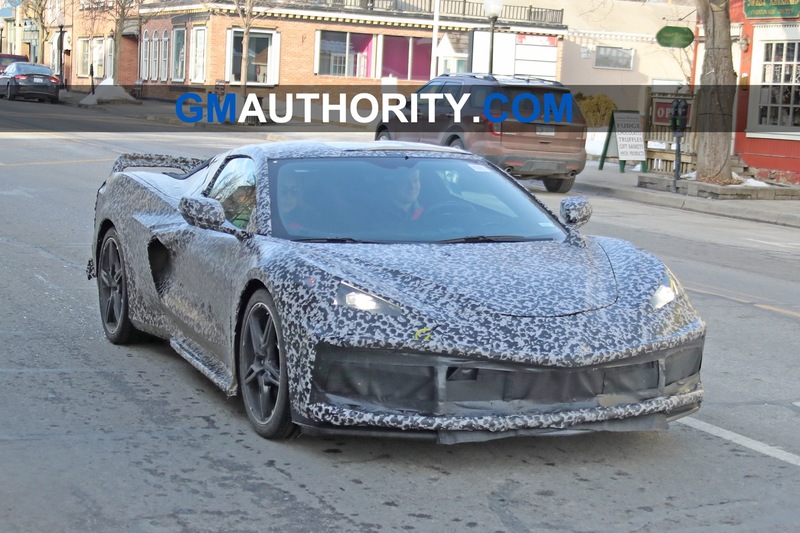 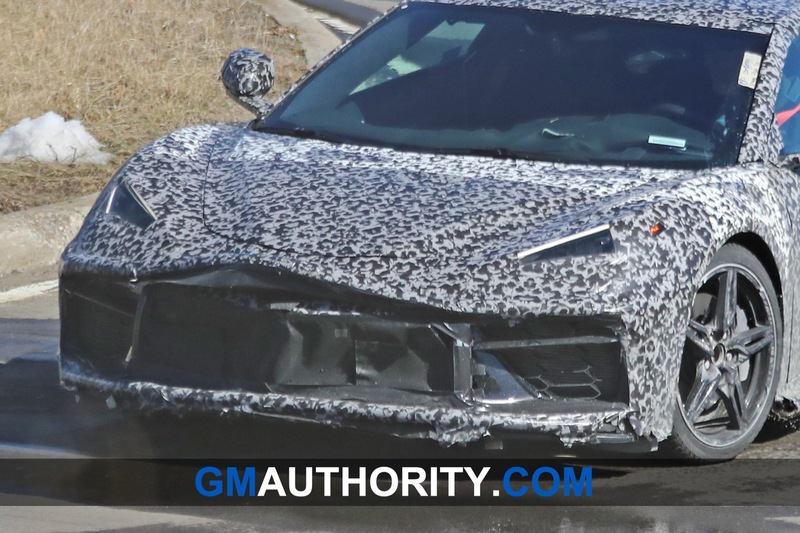 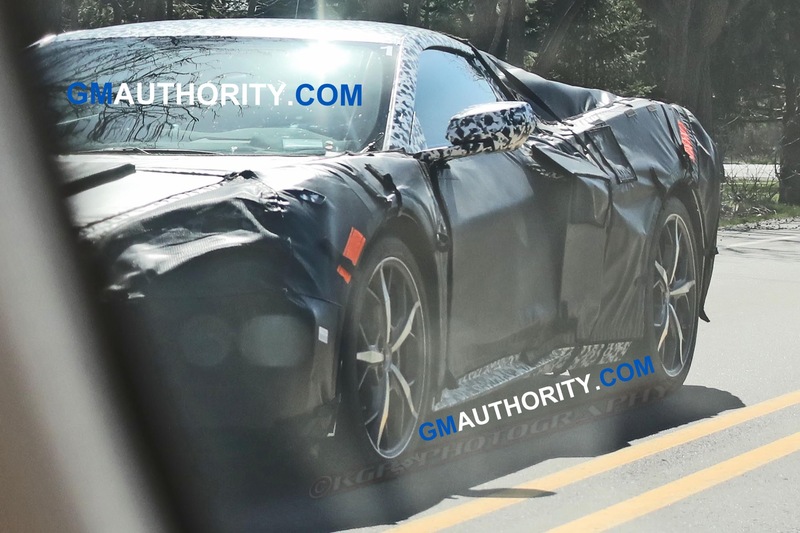 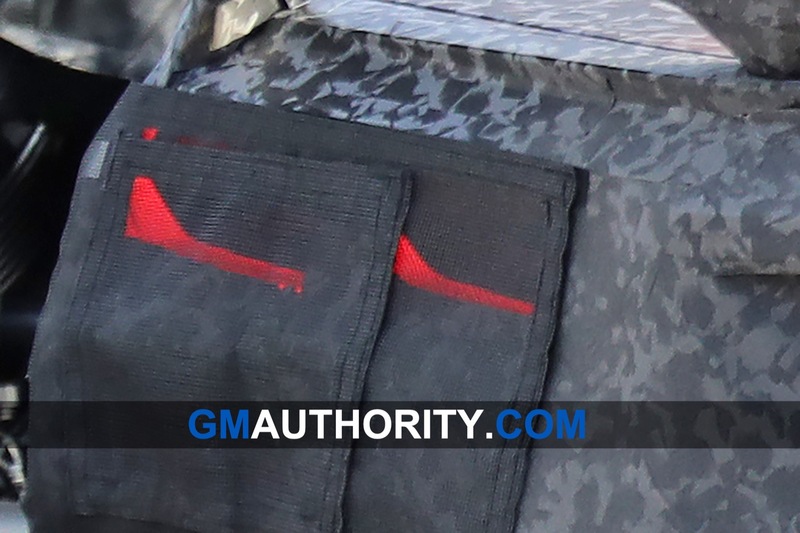 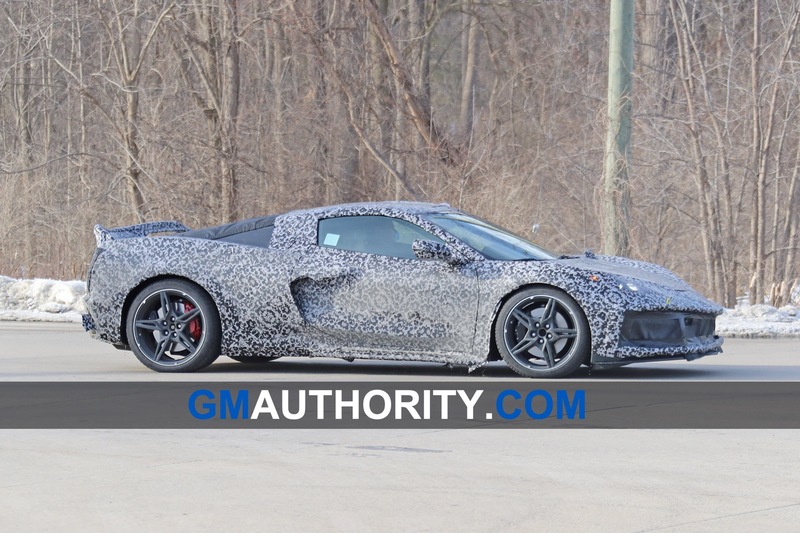 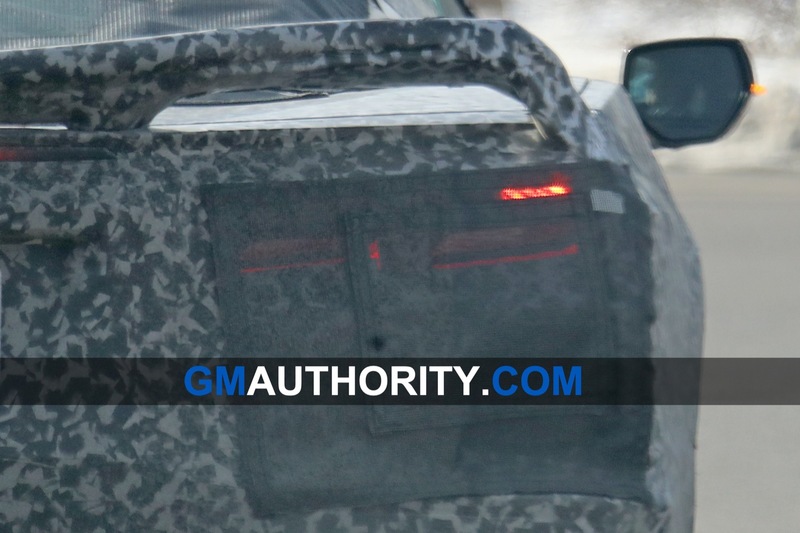 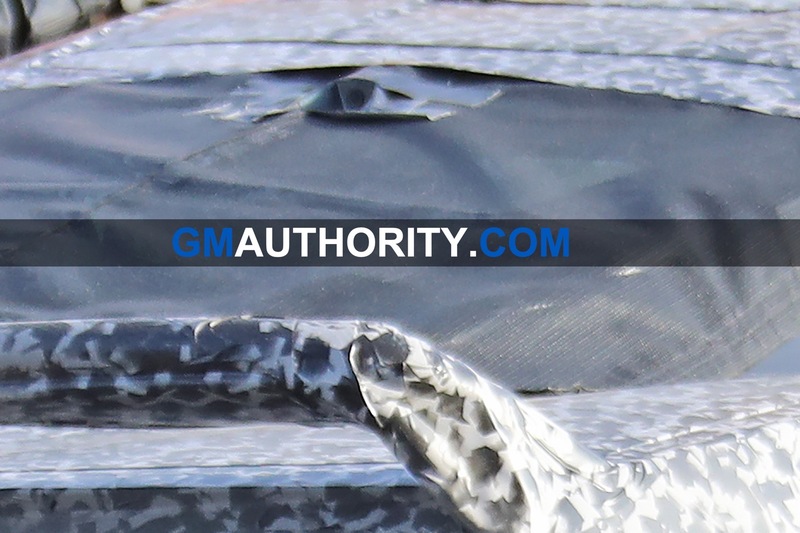 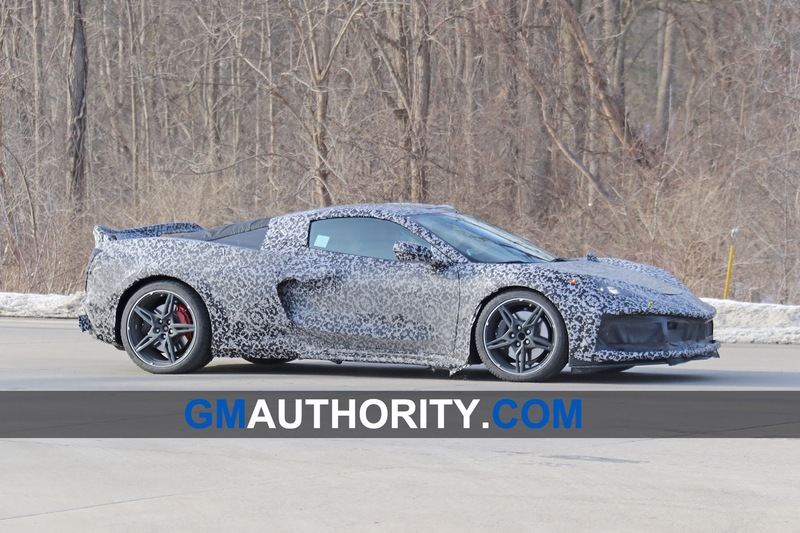 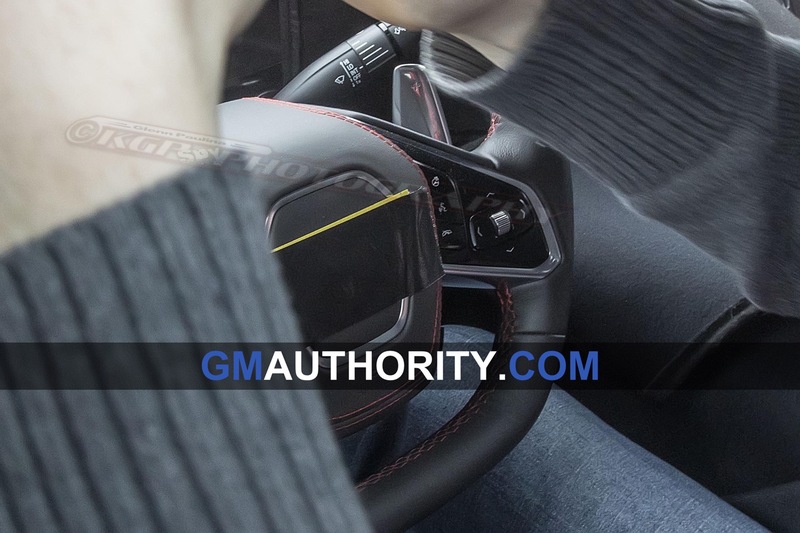 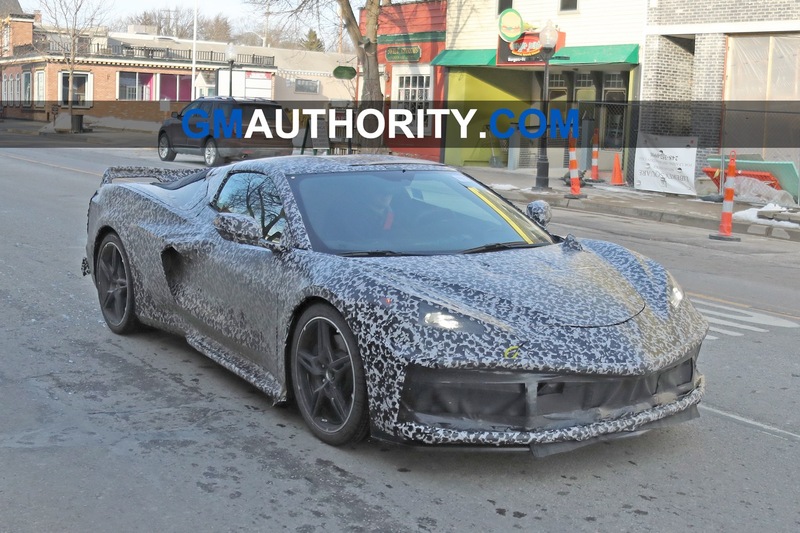 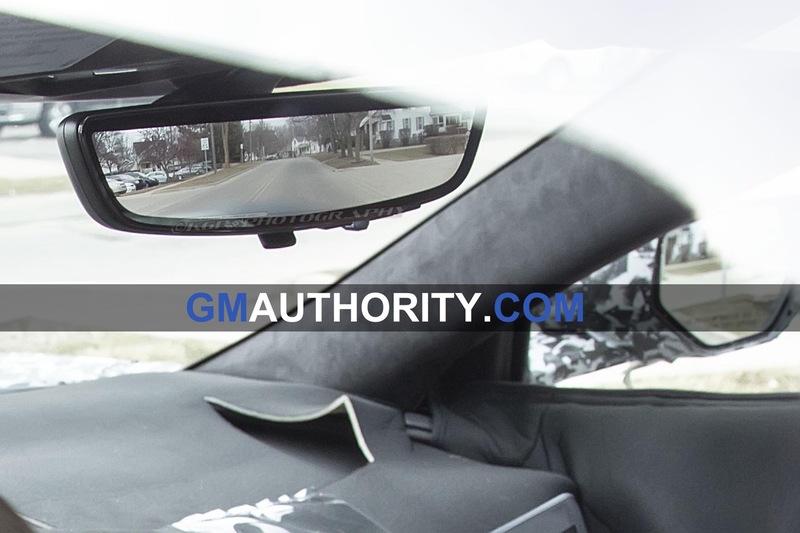 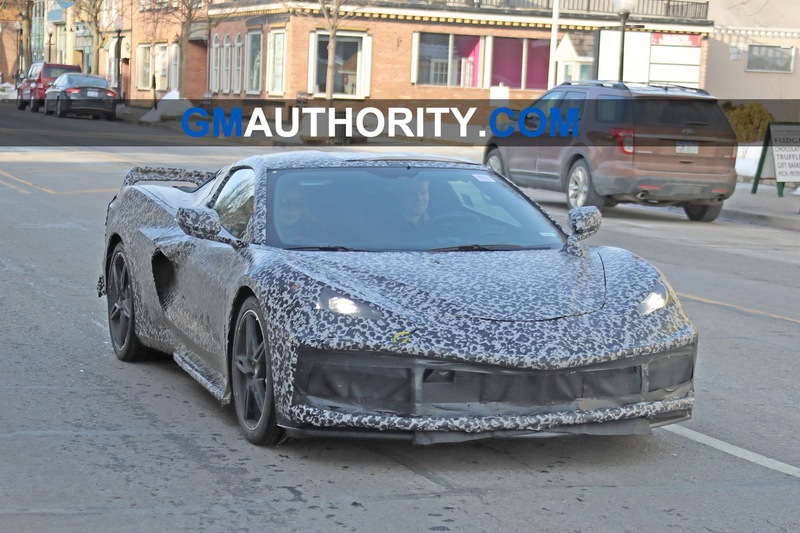 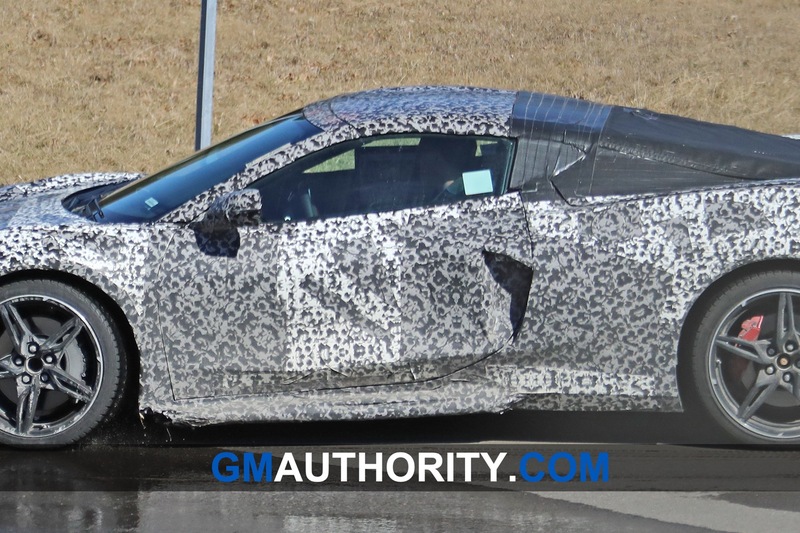 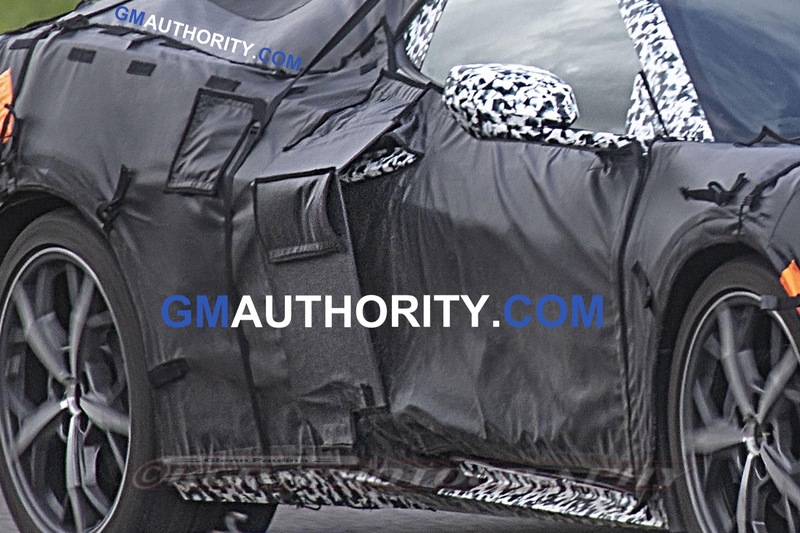 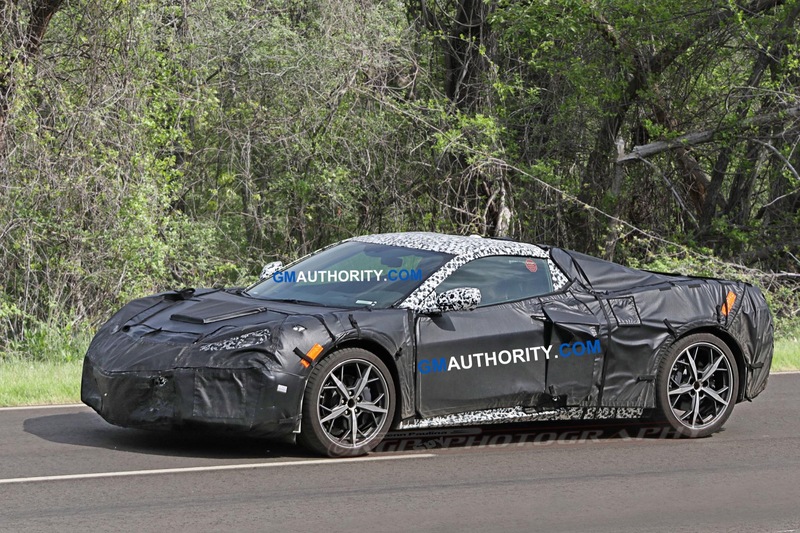 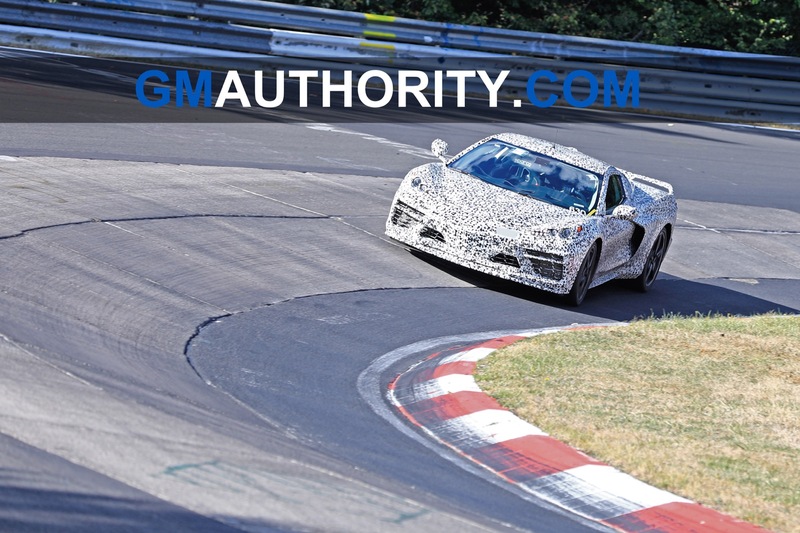 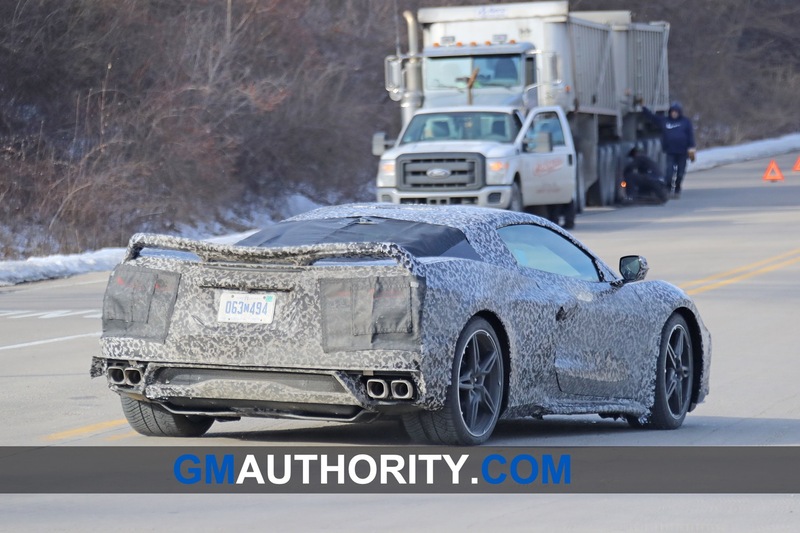 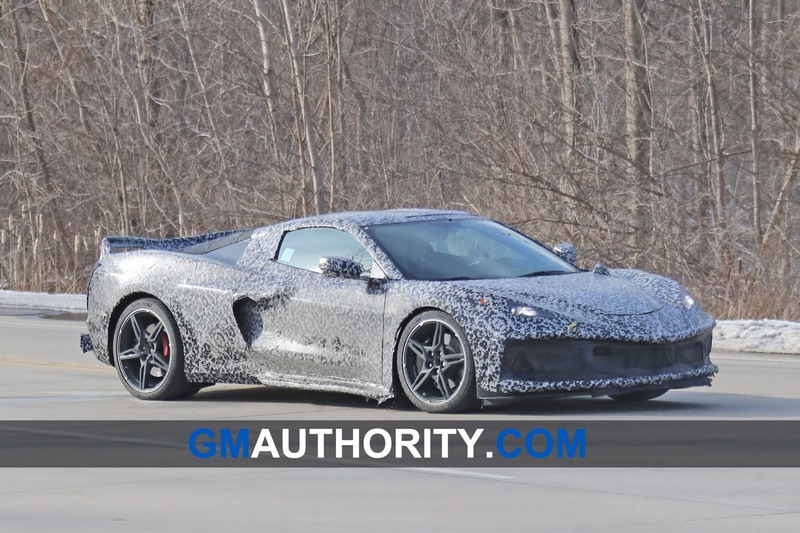 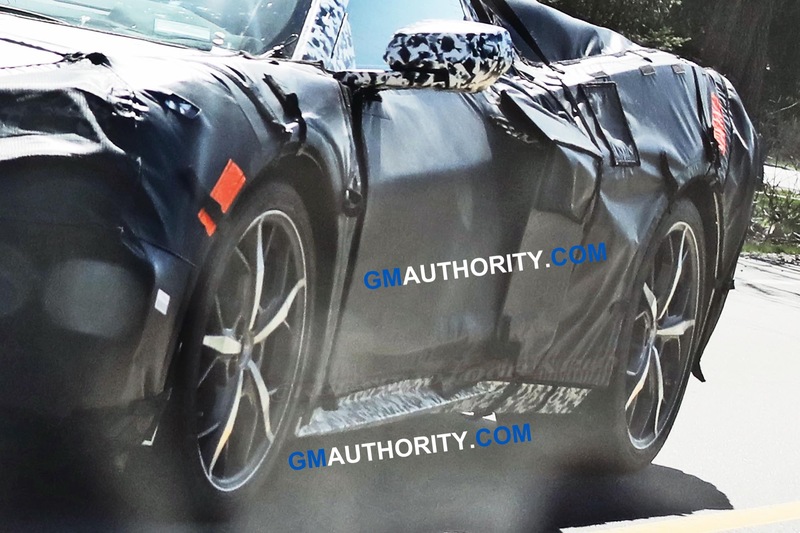 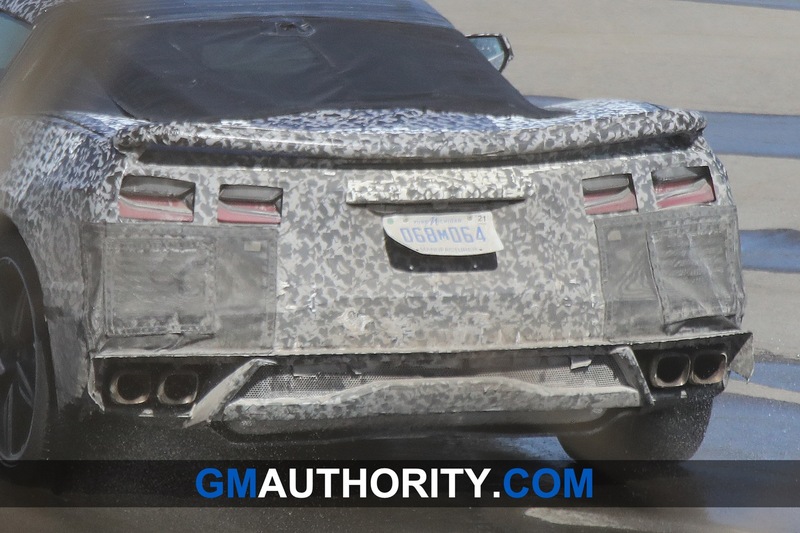 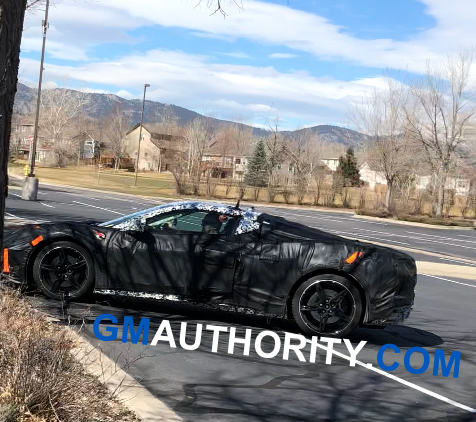 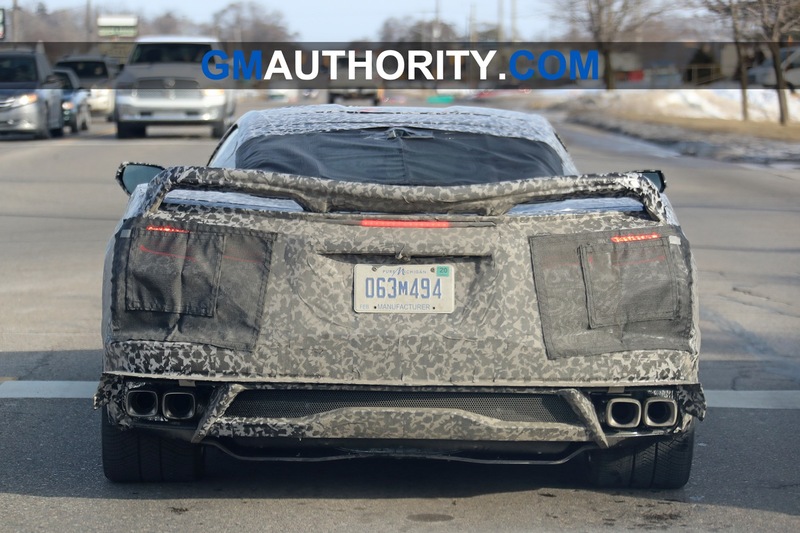 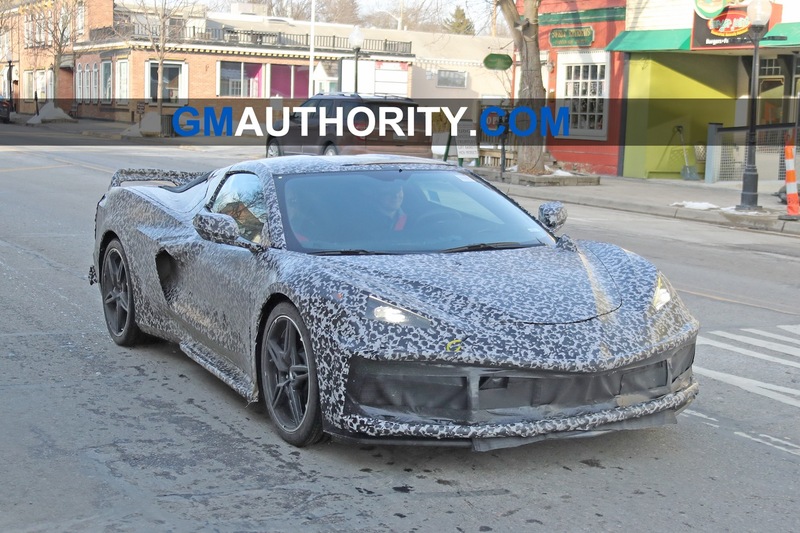 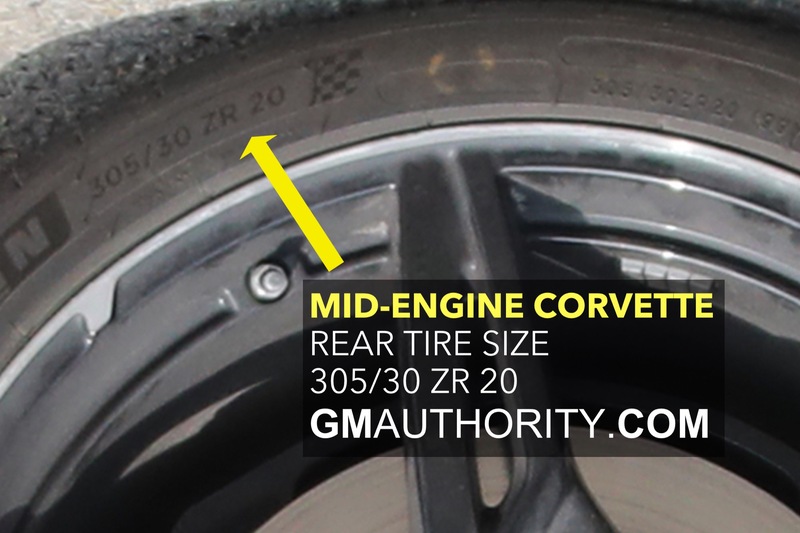 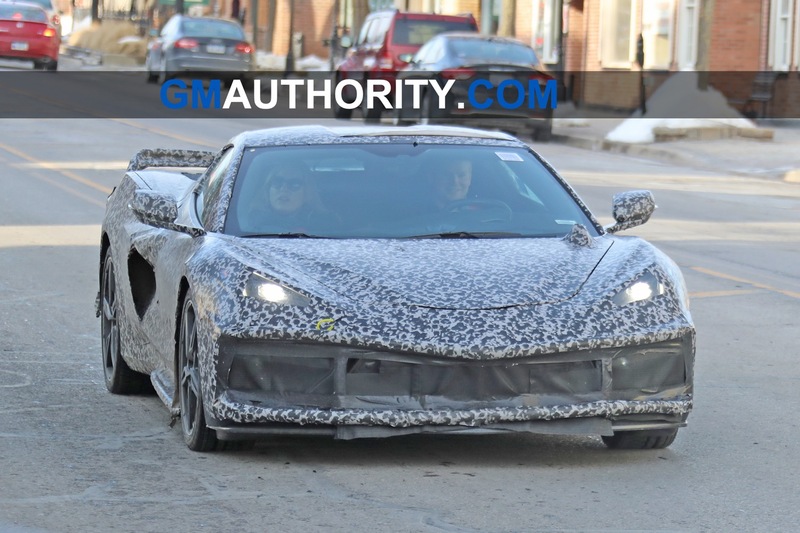 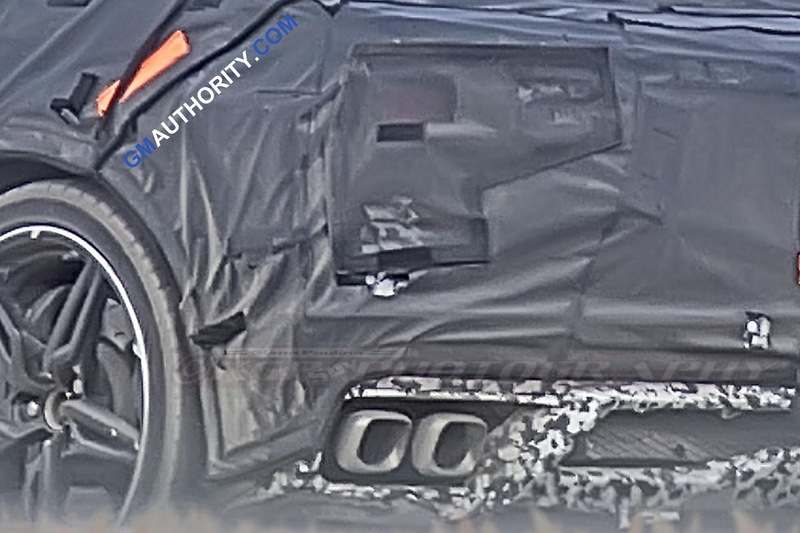 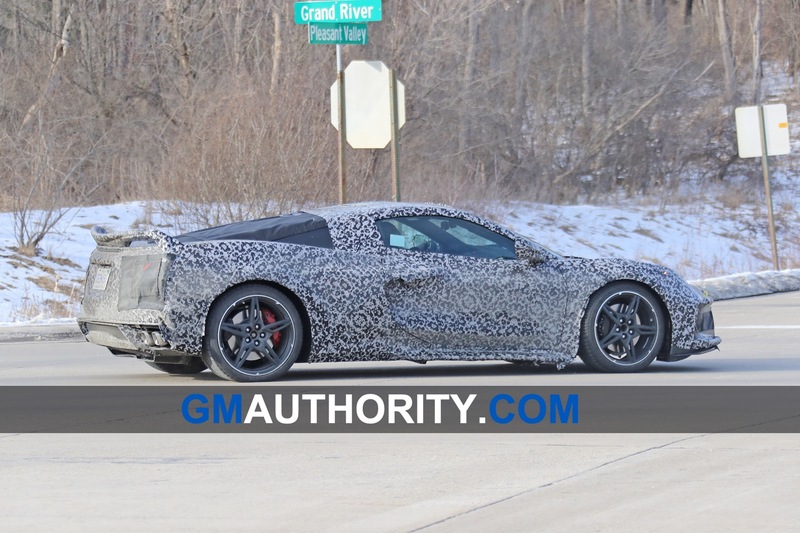 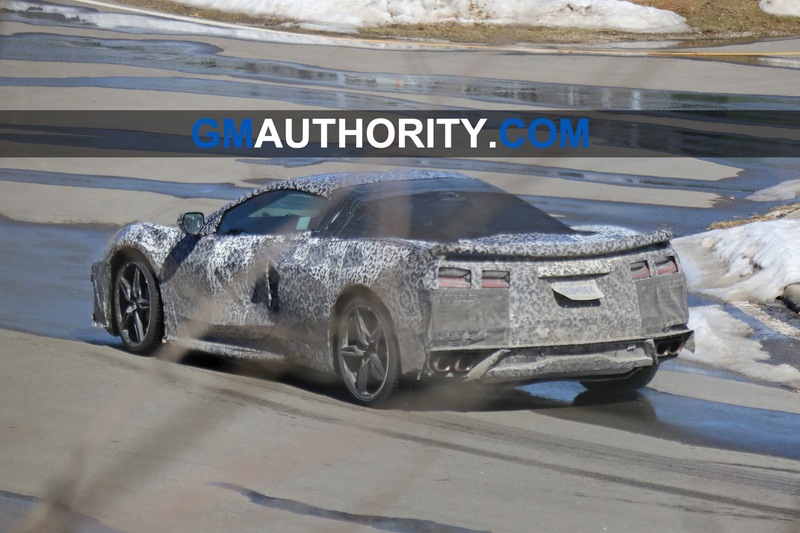 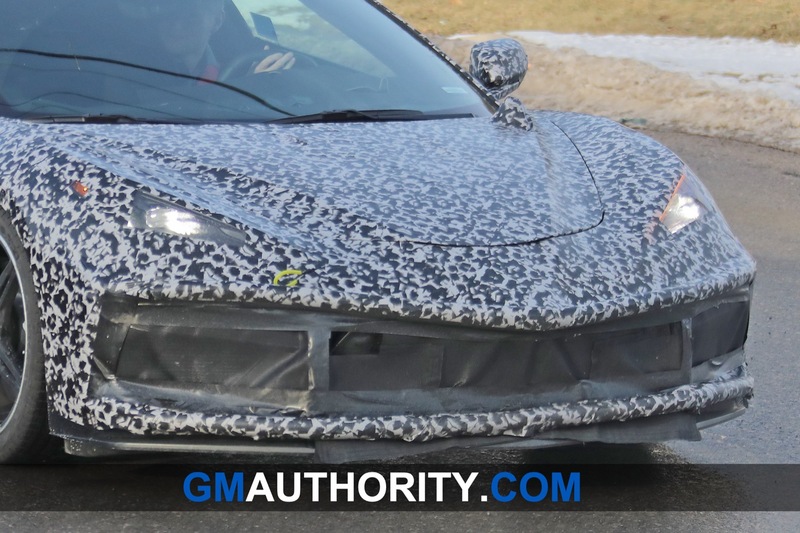 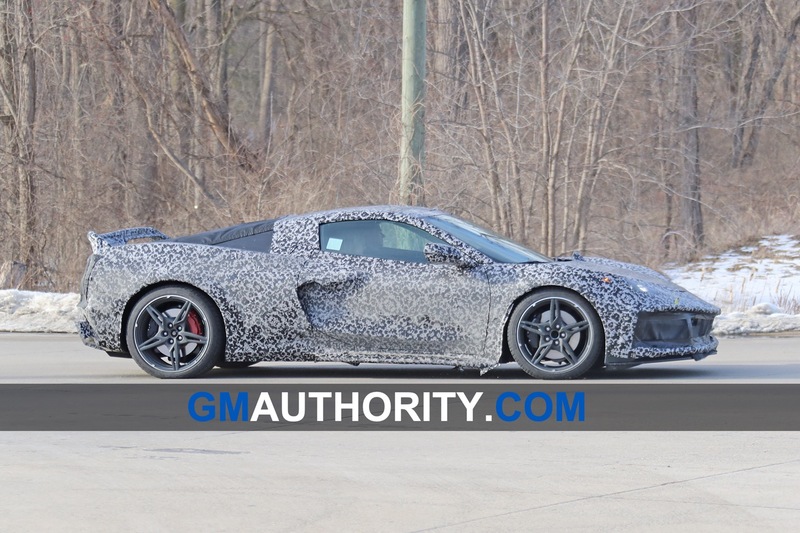 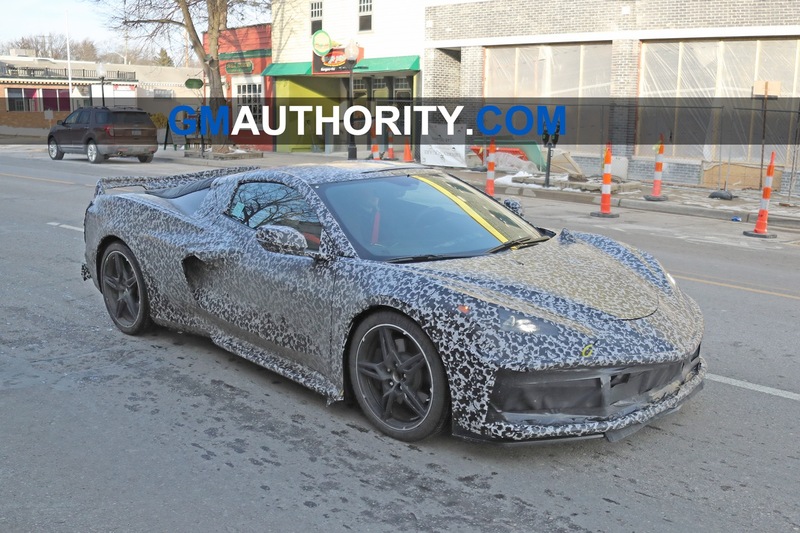 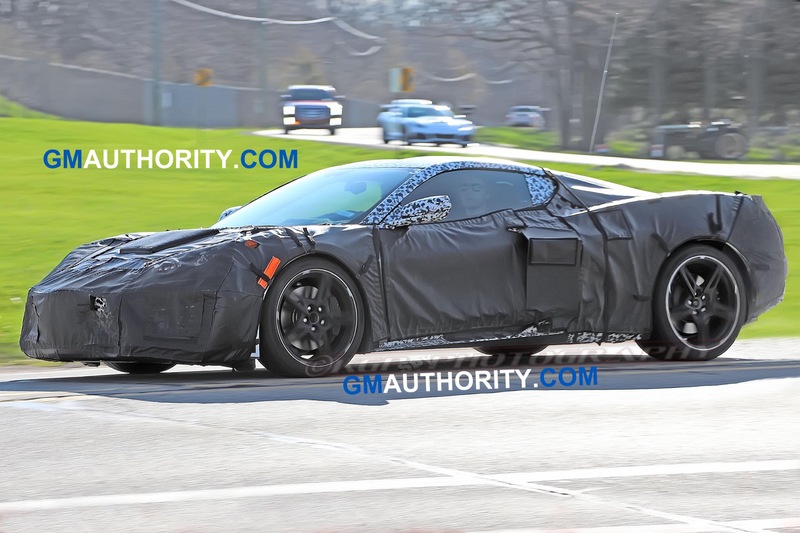 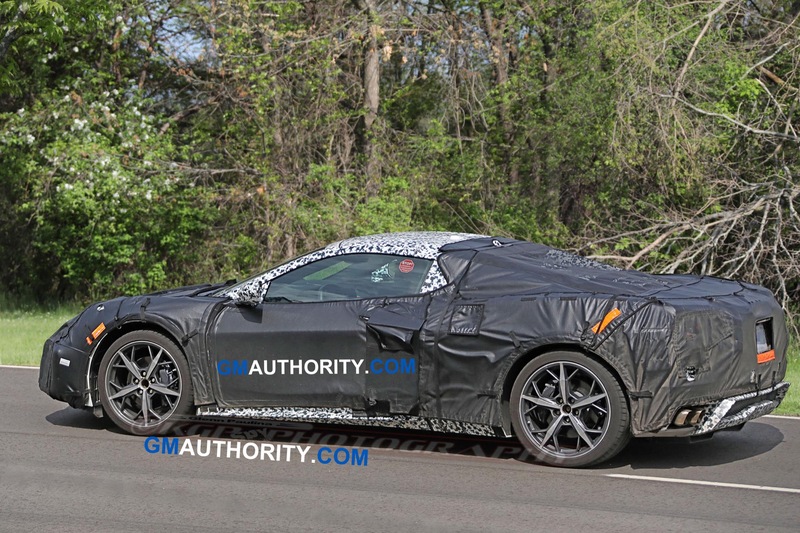 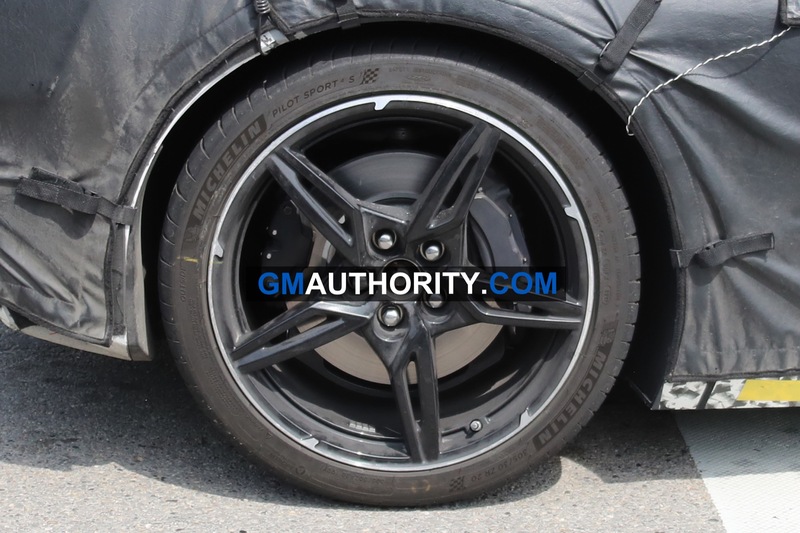 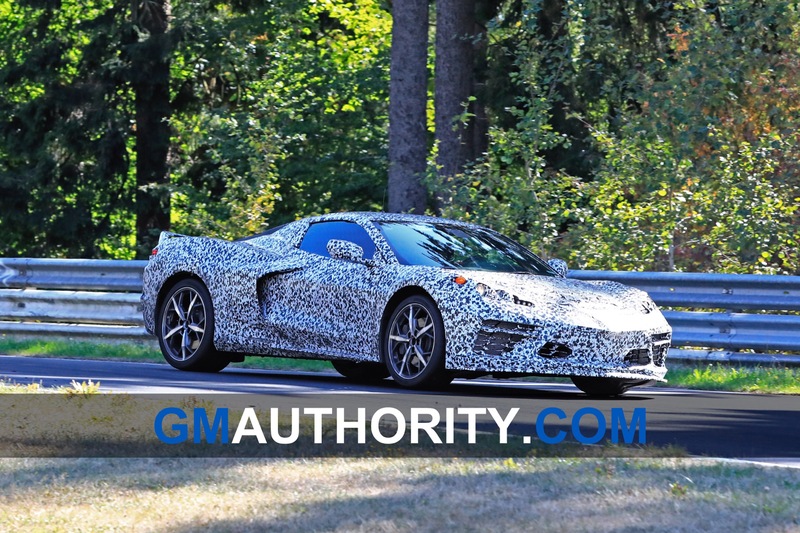 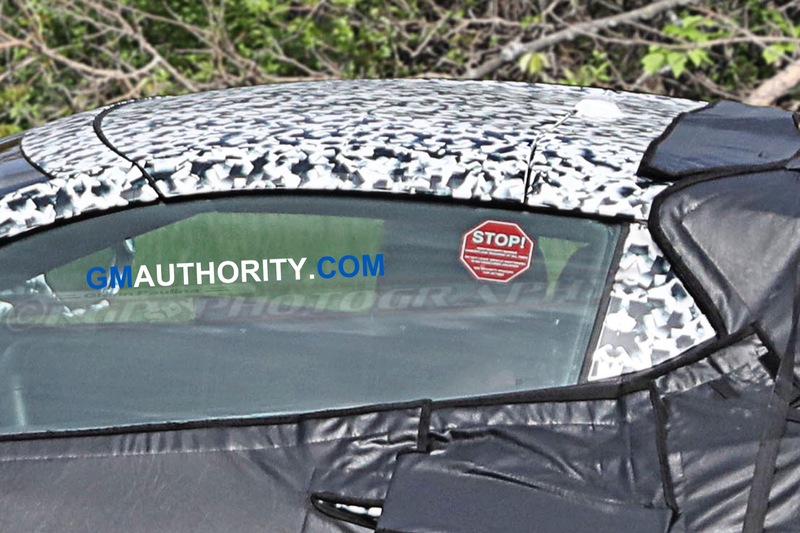 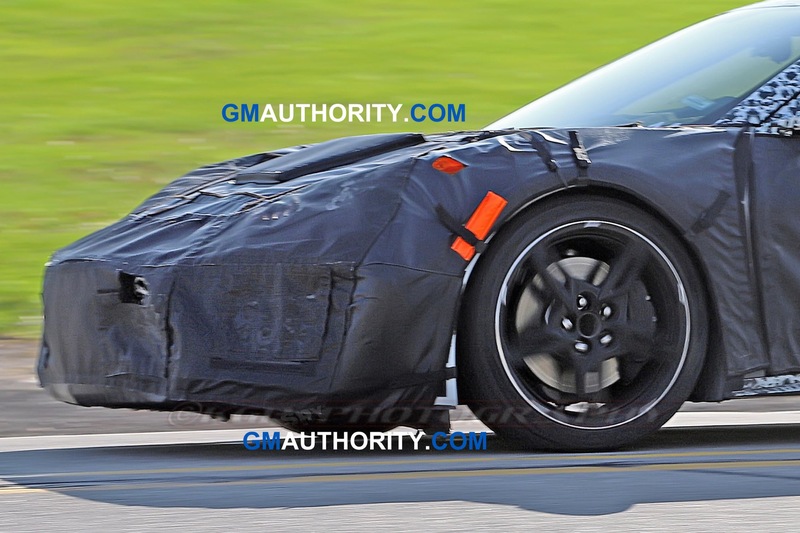 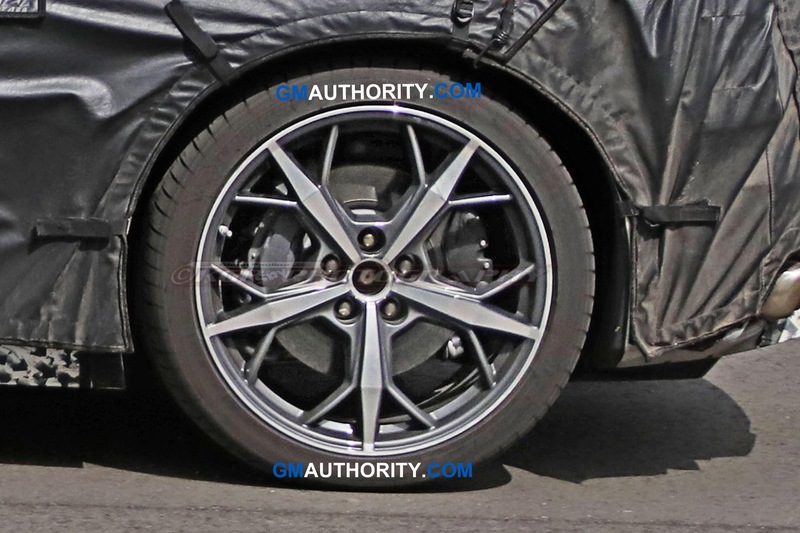 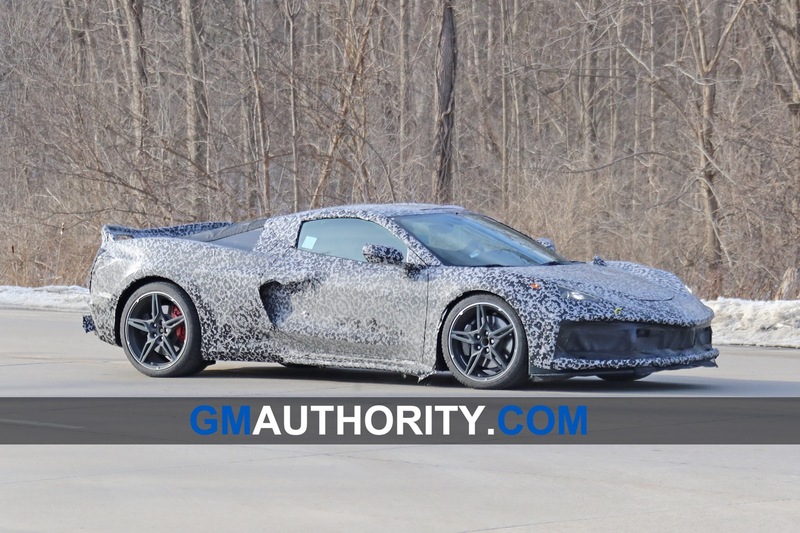 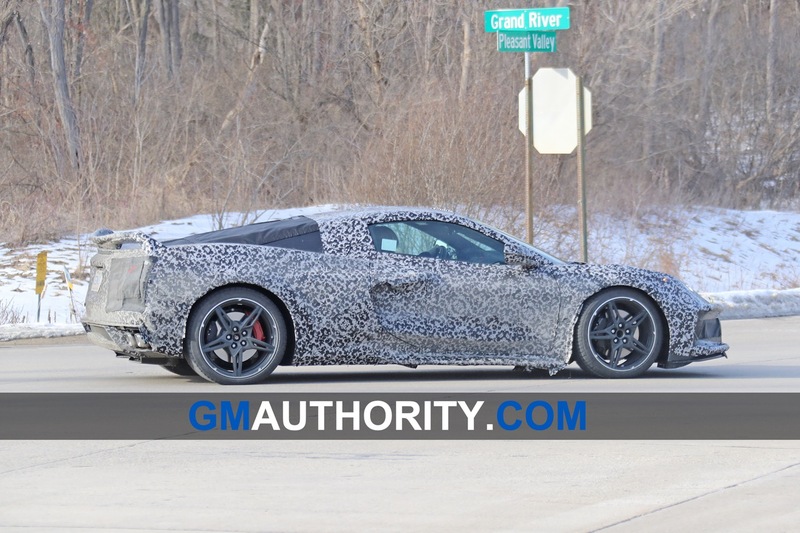 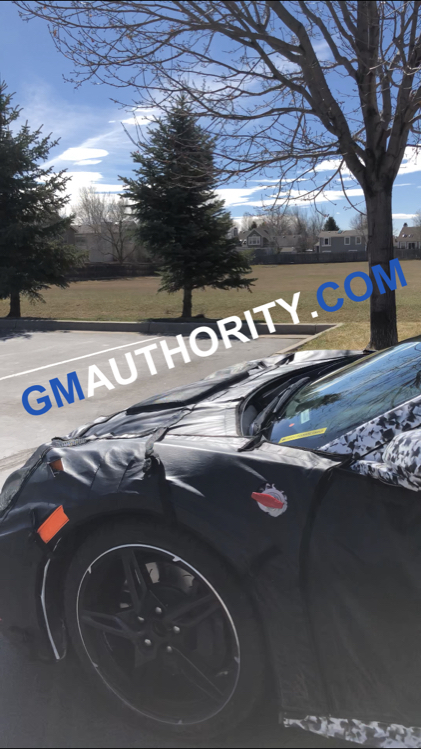 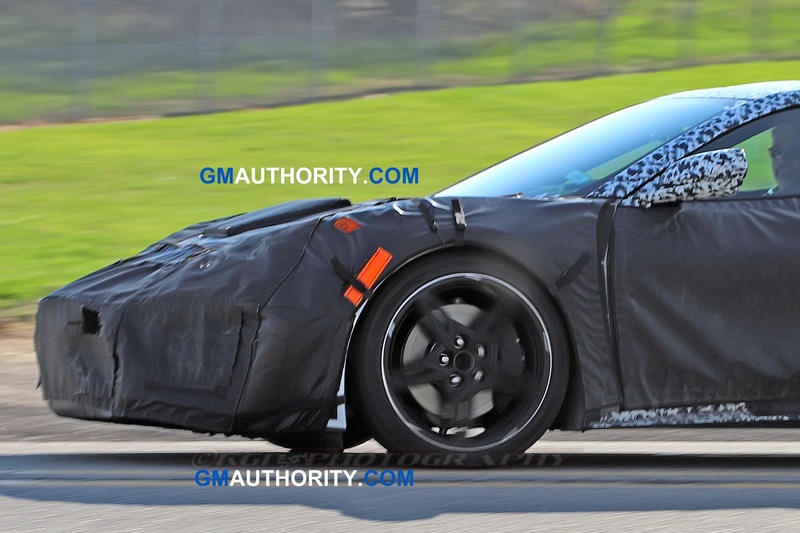 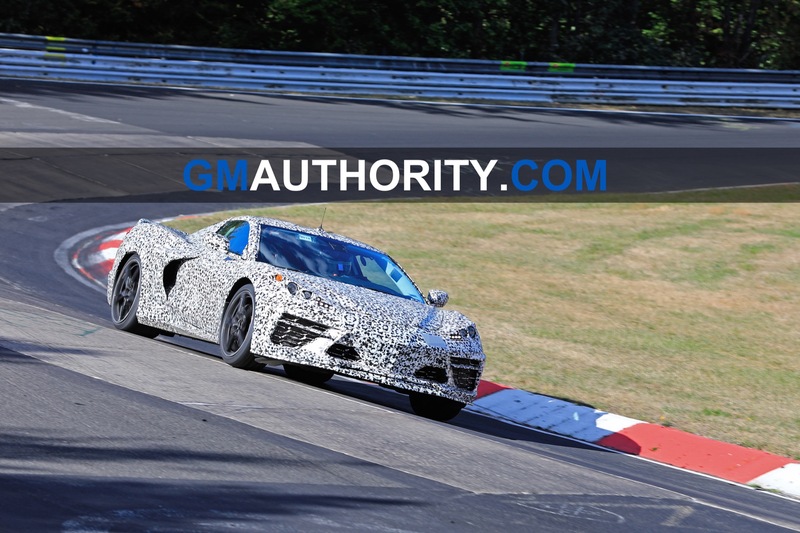 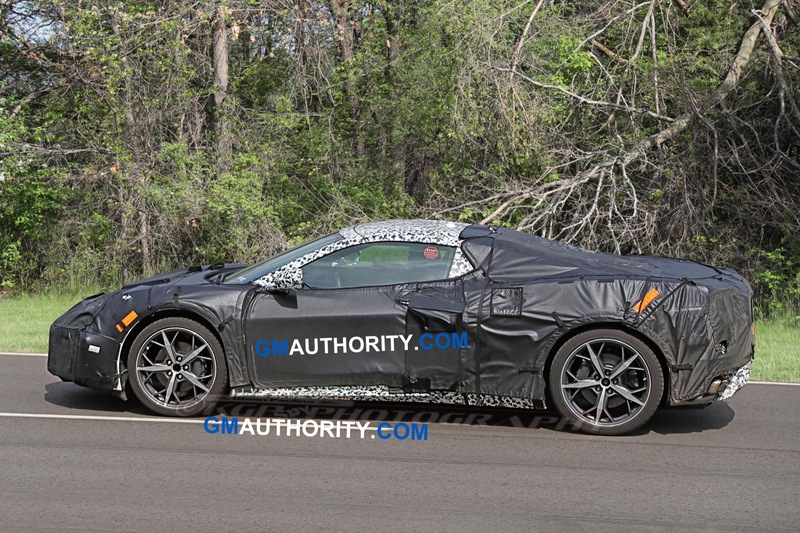 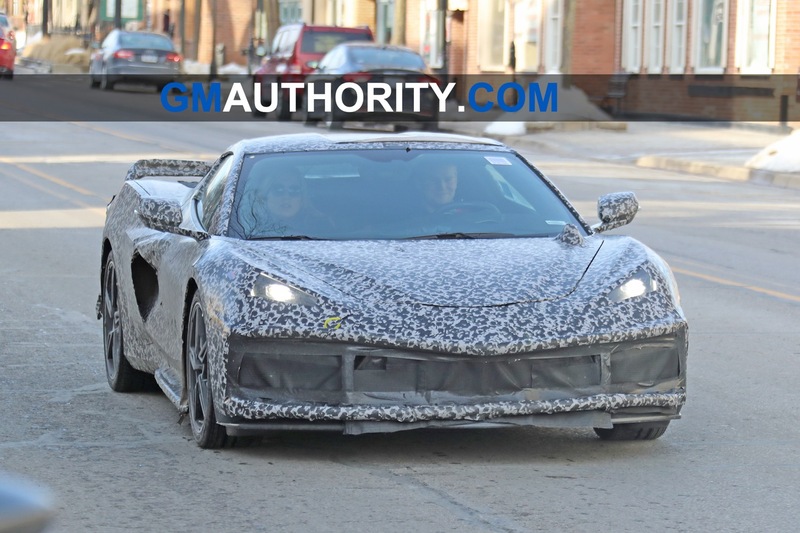 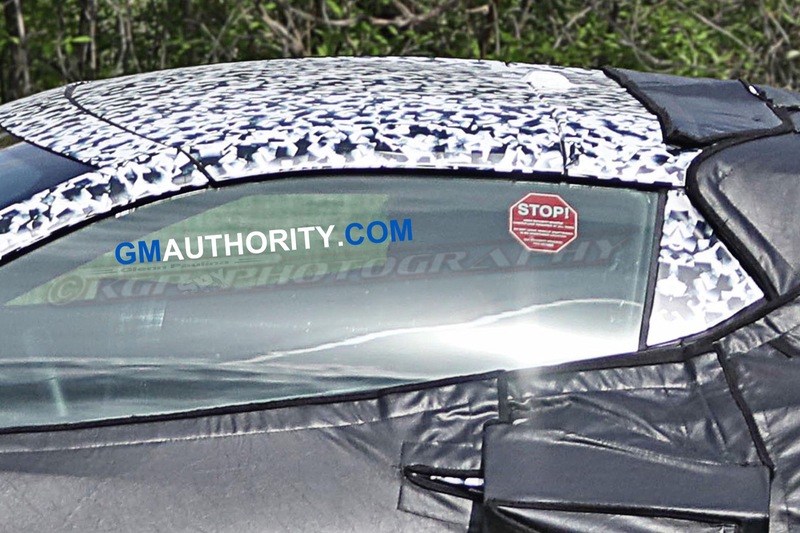 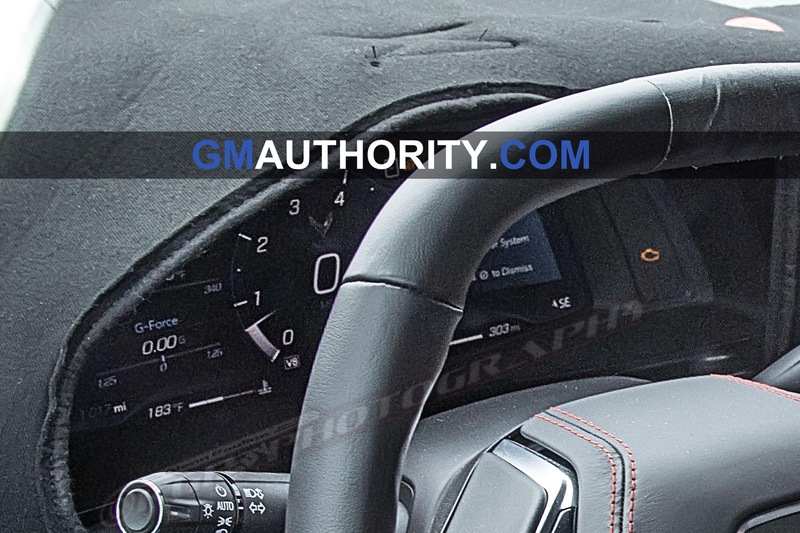 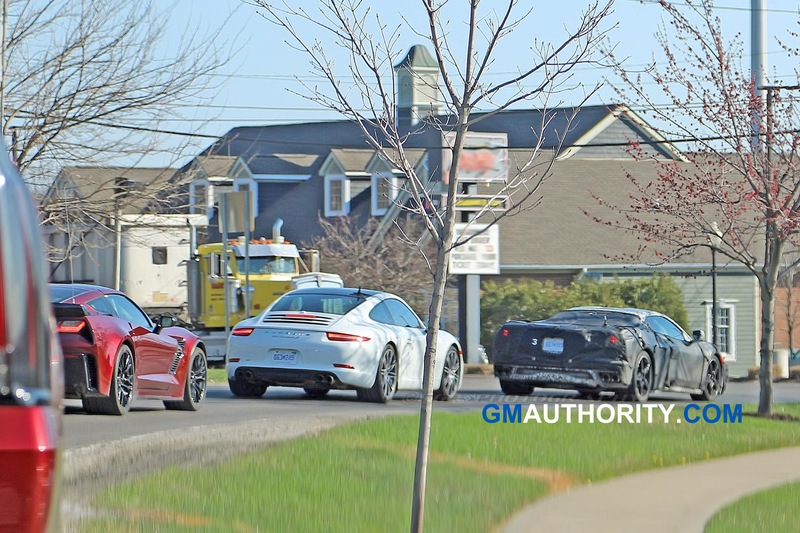 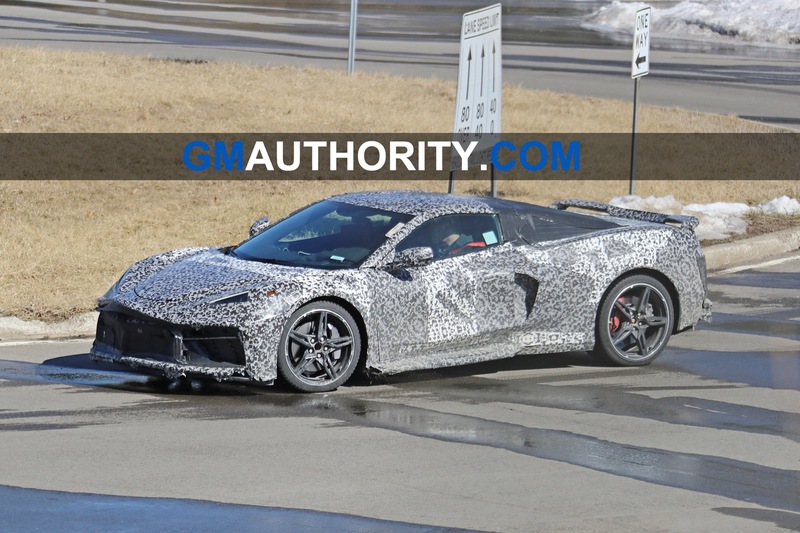 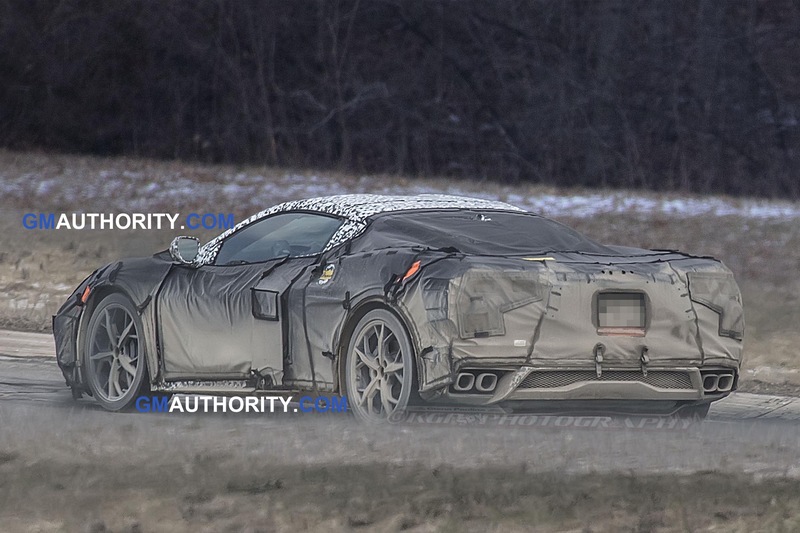 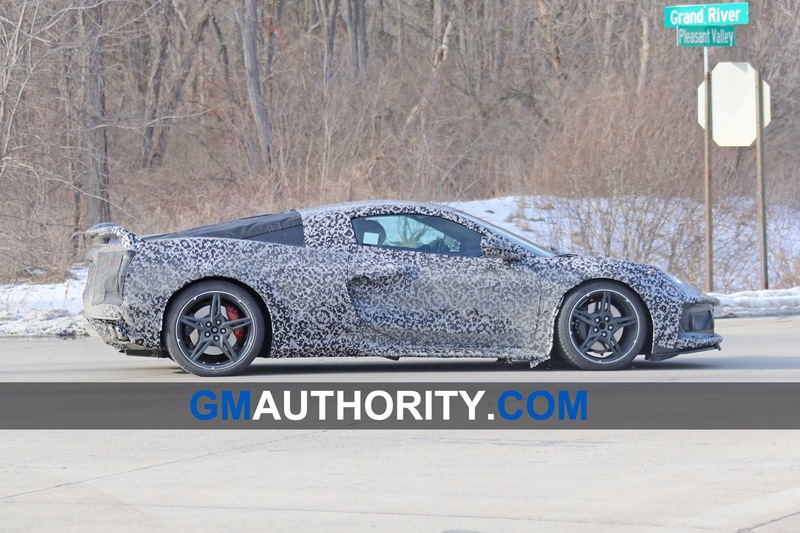 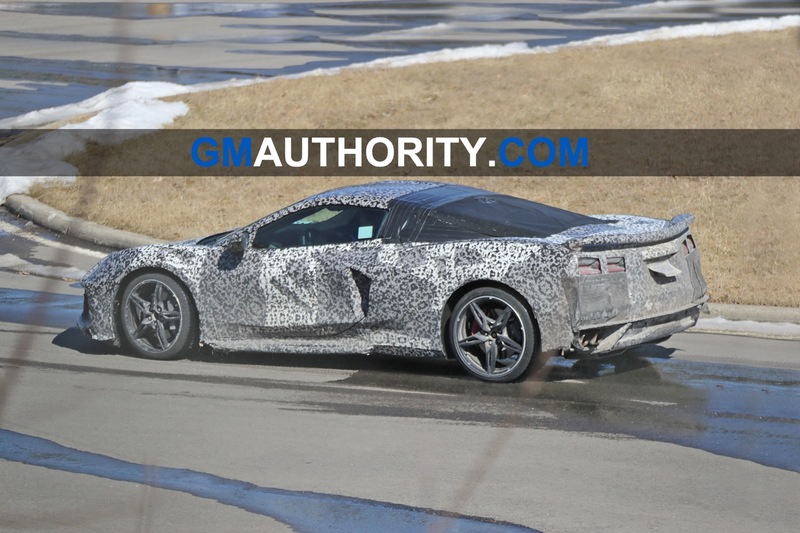 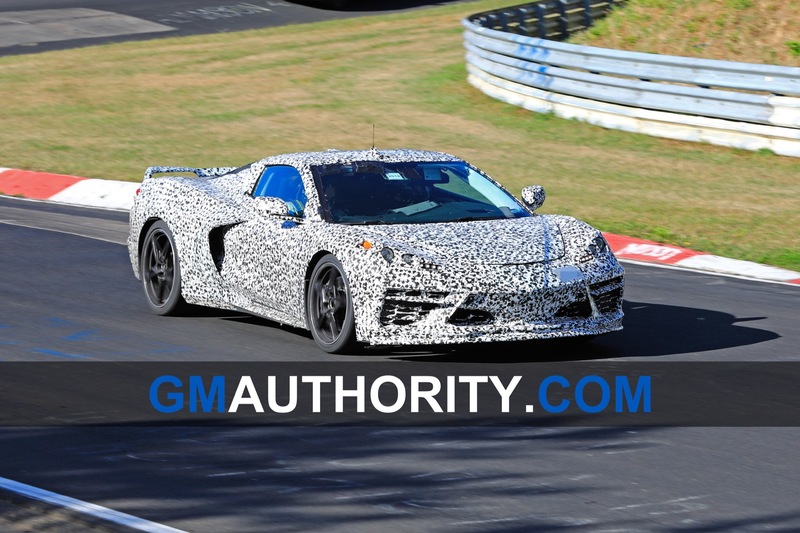 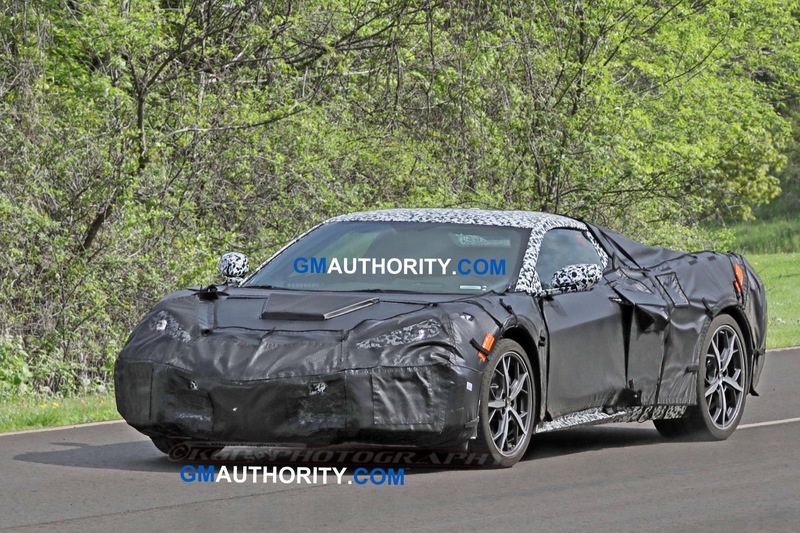 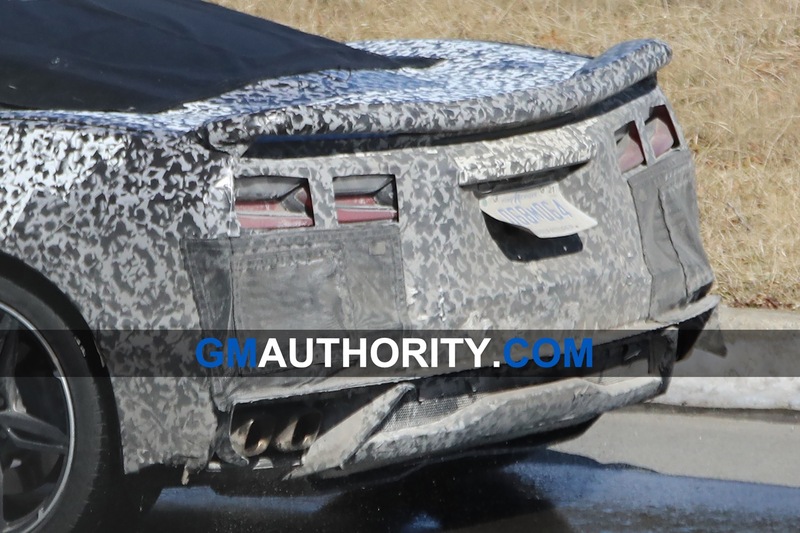 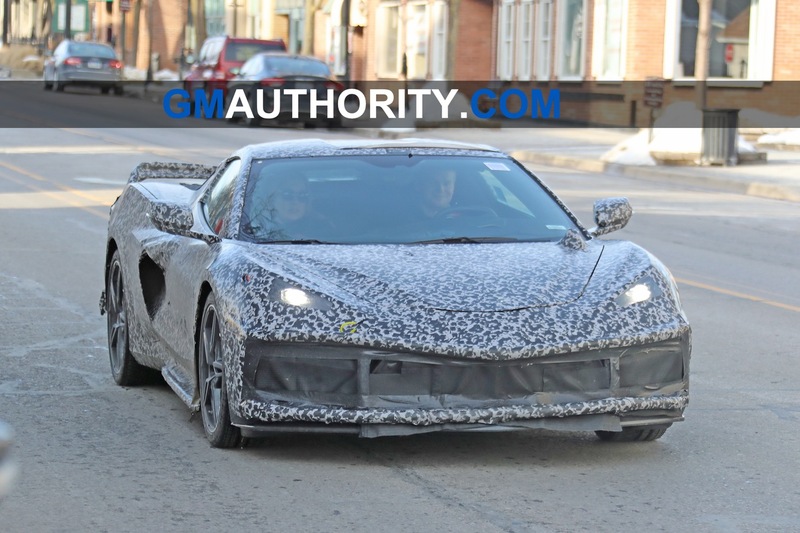 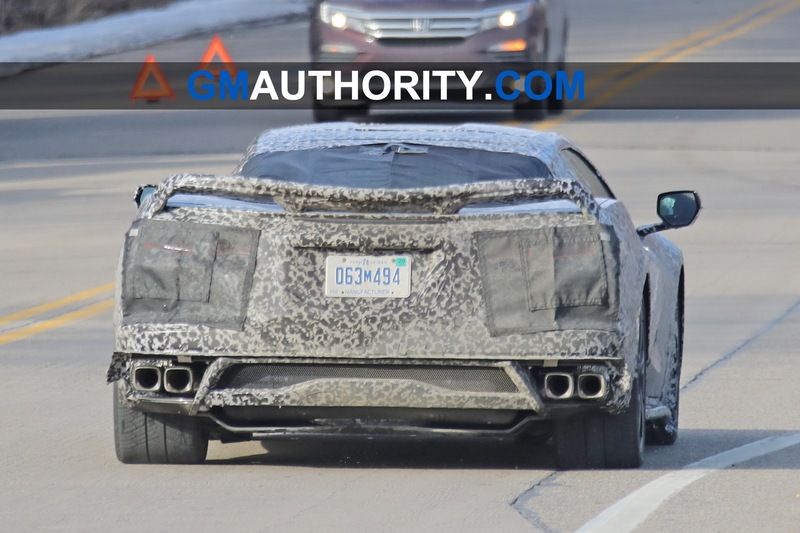 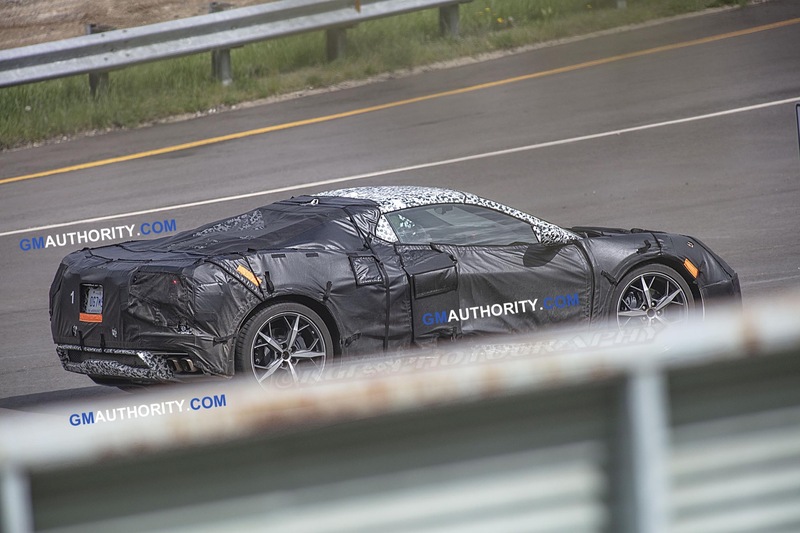 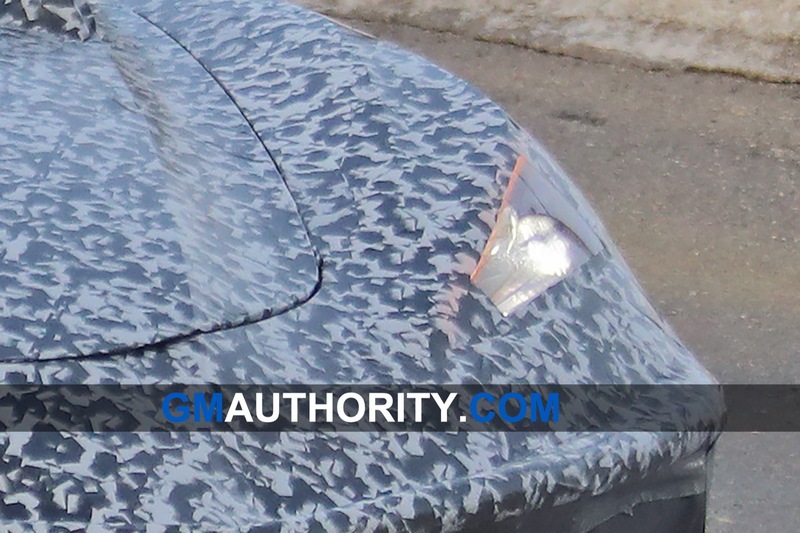 Subscribe to GM Authority for more Corvette C8 news, Corvette news, Chevrolet news, and around-the-clock GM news coverage. 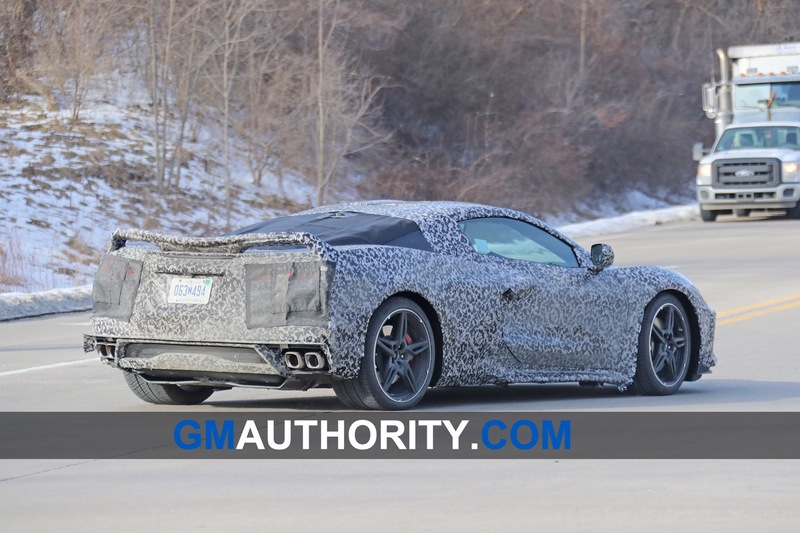 Live to dream.. imagine if the C7 Corvette ZR1 with a dual clutch gearbox. 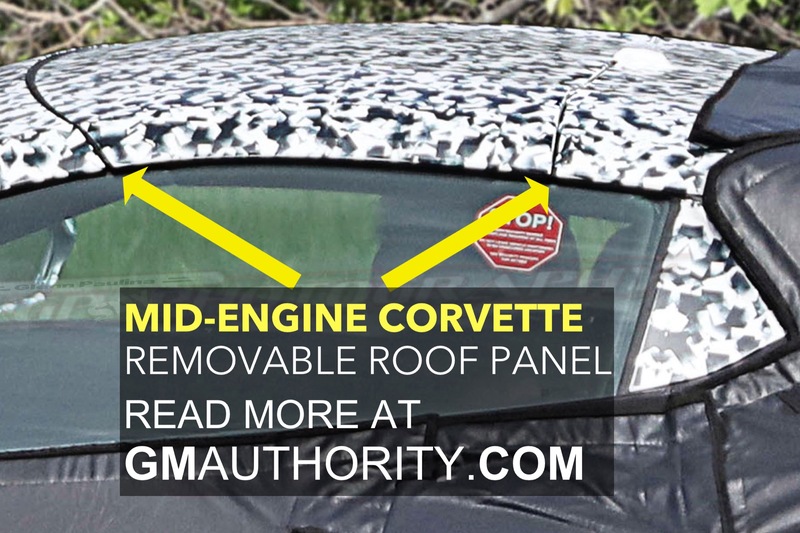 They looked into it but there just was no real way to package it in. 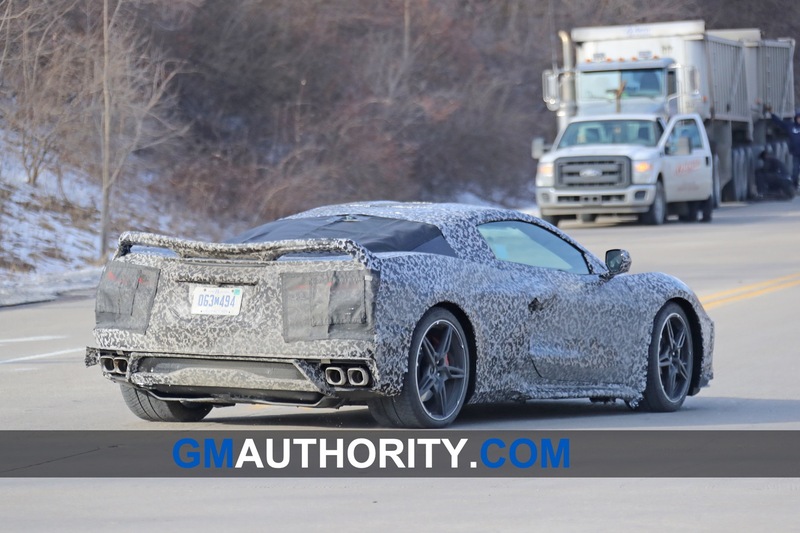 Tadge wanted it but the C7 just would not fit it. 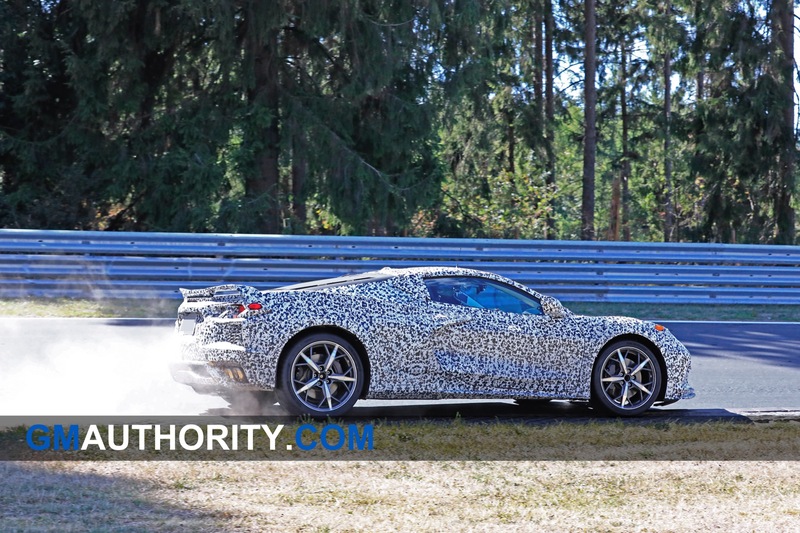 I am sure they could have blown the car up and make it fit but with the C8 coming why spend all that money on the outgoing car.